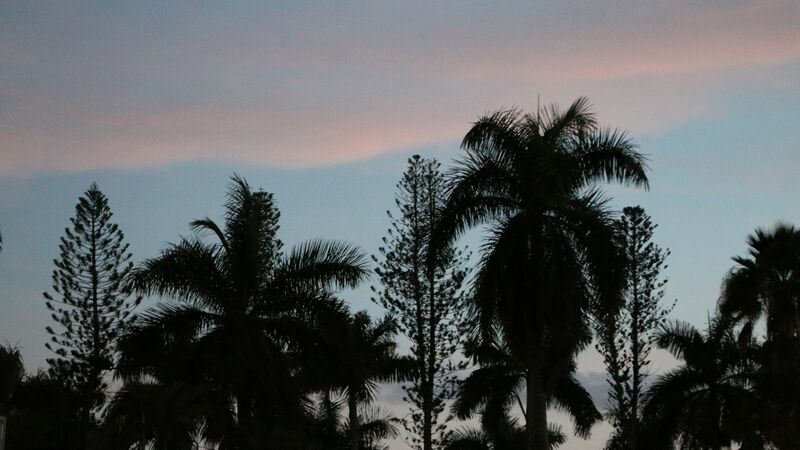 December 30th, 2014 - Palm trees near the beach at the pier in Naples, Florida. 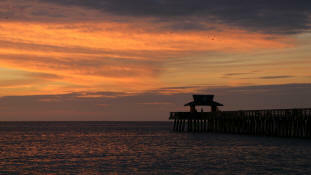 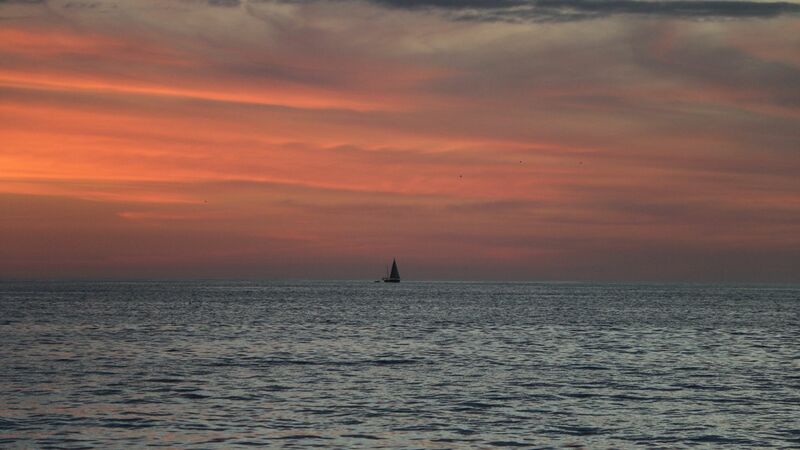 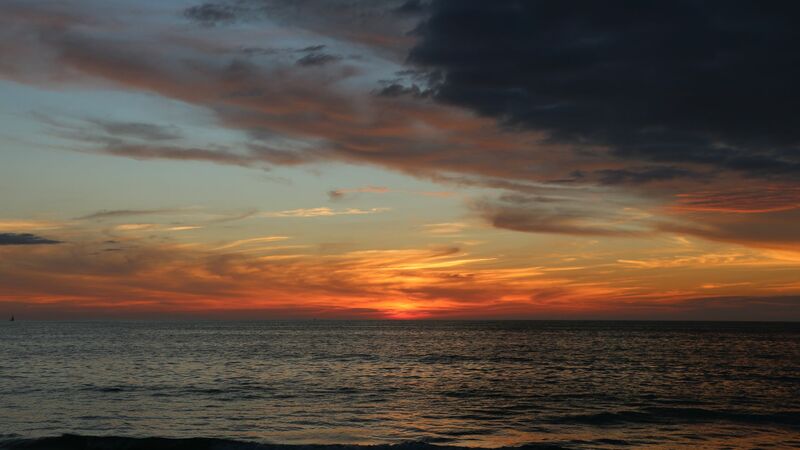 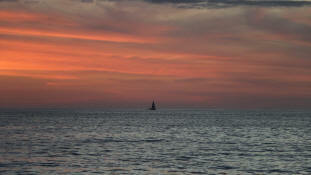 December 30th, 2014 - A sailboat in the Gulf of Mexico following the sunset at the pier in Naples, Florida..
December 30th, 2014 - A look at the Gulf of Mexico following the sunset at the pier in Naples, Florida. 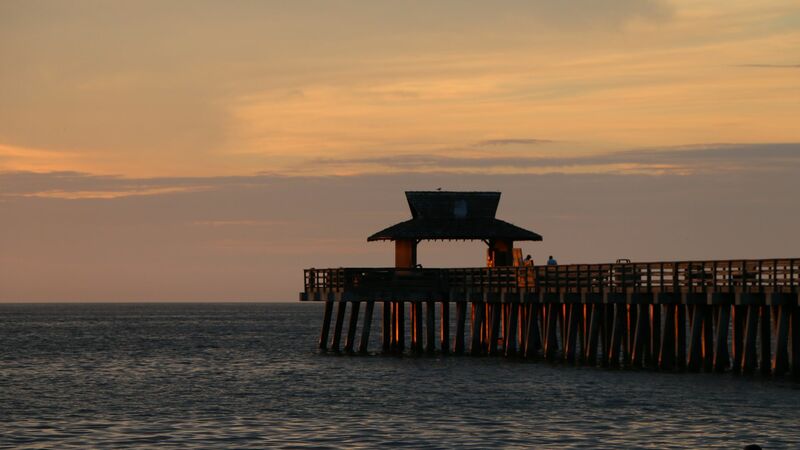 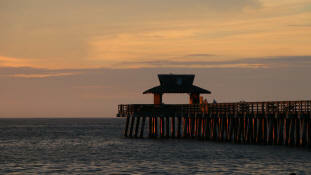 December 30th, 2014 - A view of the pier from the beach in Naples, Florida. 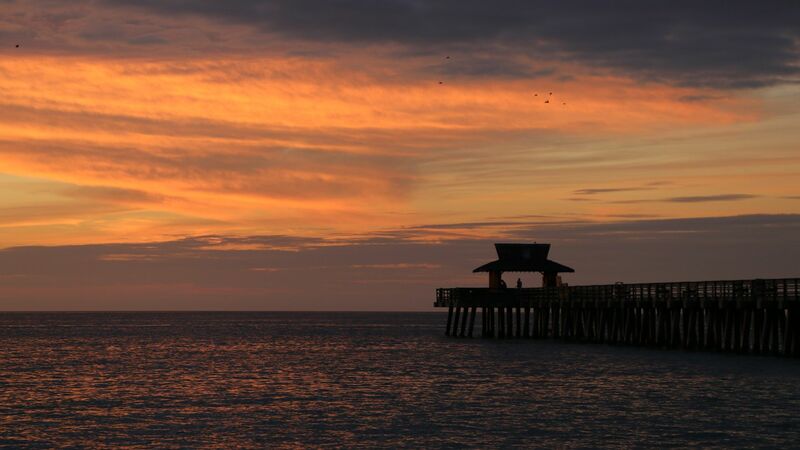 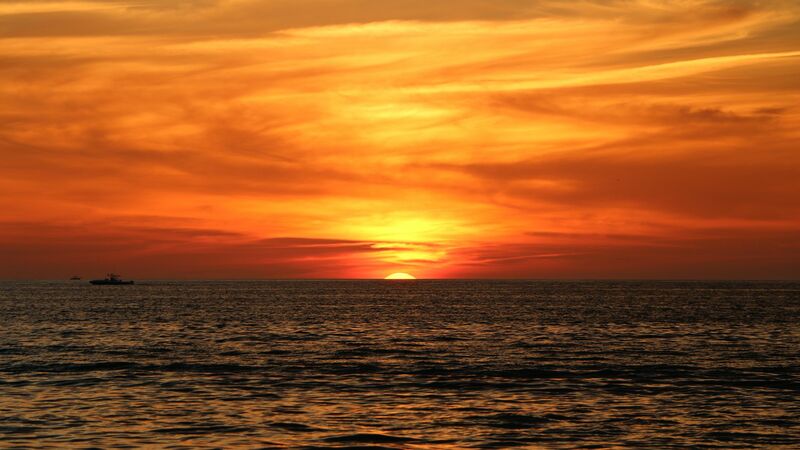 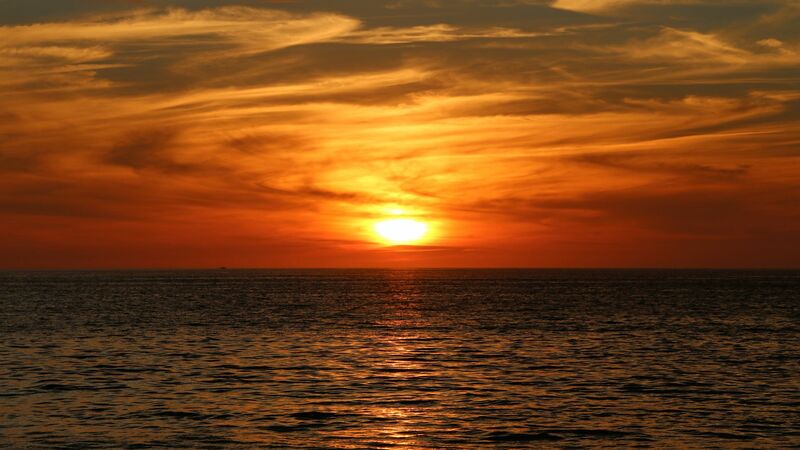 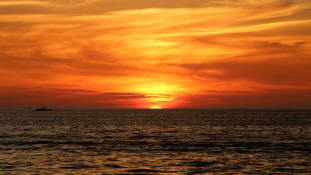 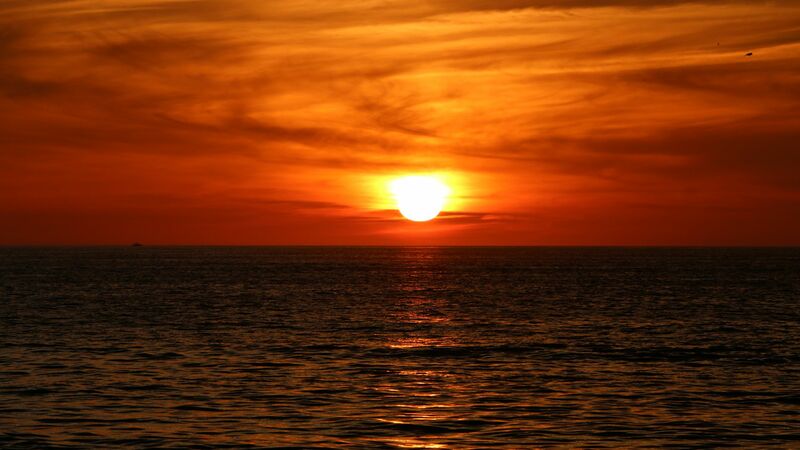 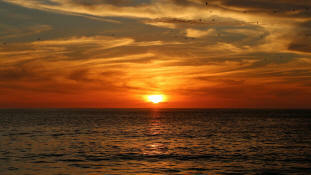 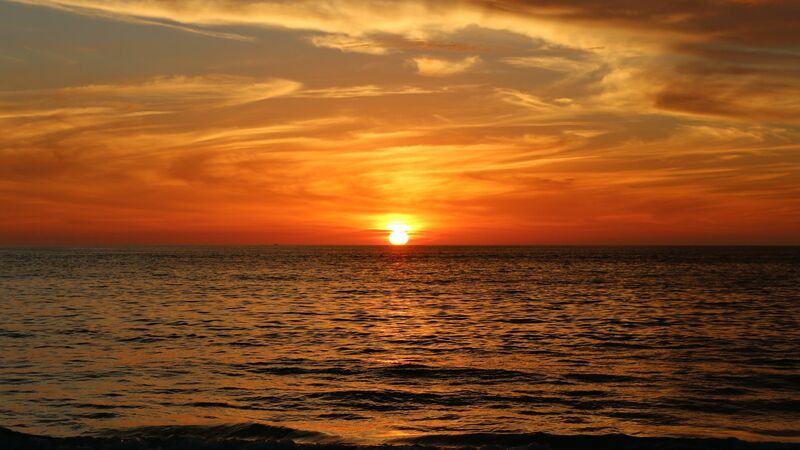 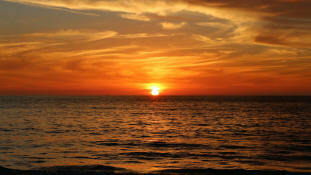 December 30th, 2014 - The setting sun as seen from the beach at the pier in Naples, Florida. 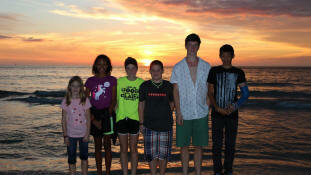 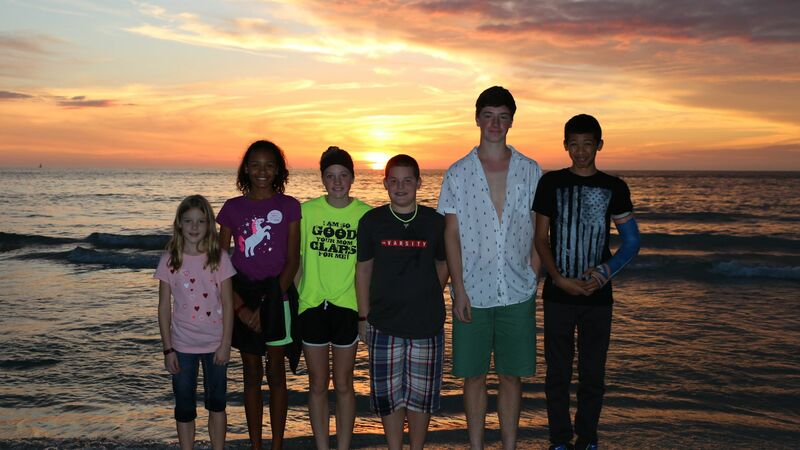 December 30th, 2014 - Jayden, Marissa, Samantha, Drew, Tyler, and Donovan on the beach in Naples, Florida. 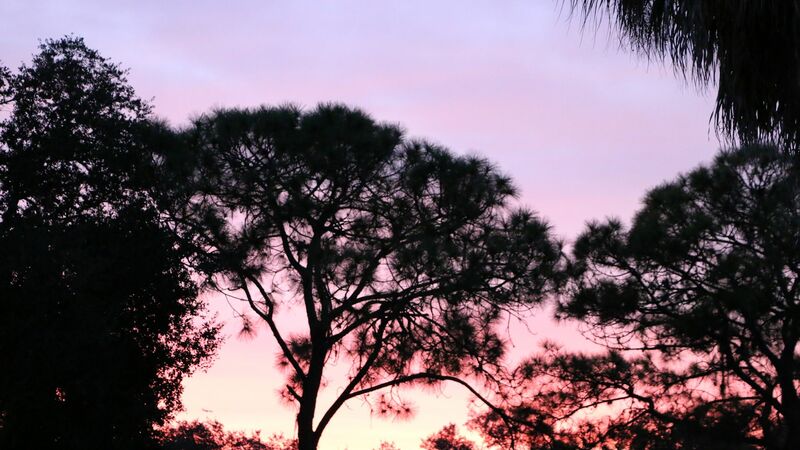 December 27th, 2014 - The setting sun as seen through the trees at the Sun-n-Fun RV Resort in Sarasota, Florida. 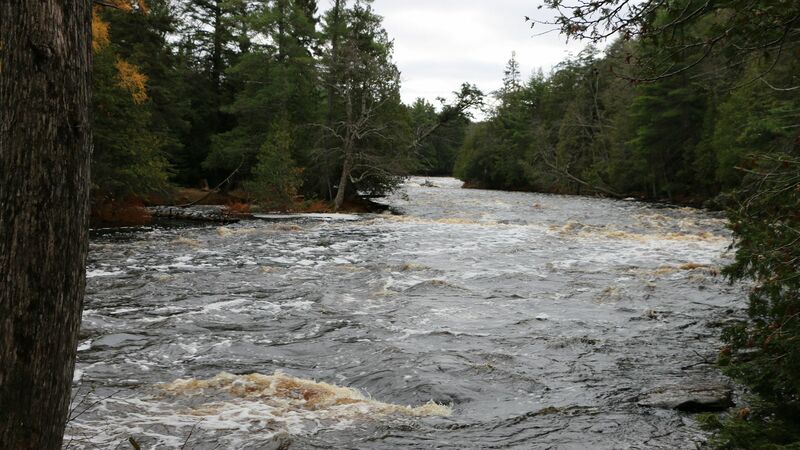 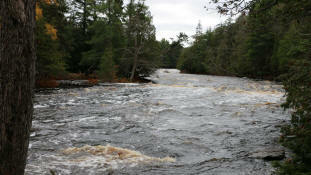 October 26th, 2014 - A view of the Tahquamenon River from the lower Tahquamenon Falls in Paradise, Michigan. 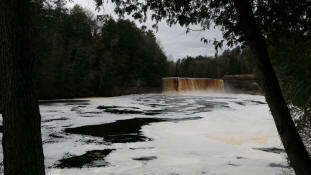 October 26th, 2014 - Another view of the upper falls from the gorge viewing platform at the upper Tahquamenon Falls in Paradise, Michigan. 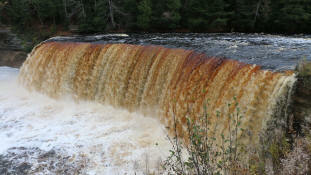 October 26th, 2014 - A closer view of the upper falls from the gorge viewing platform at the upper Tahquamenon Falls in Paradise, Michigan. 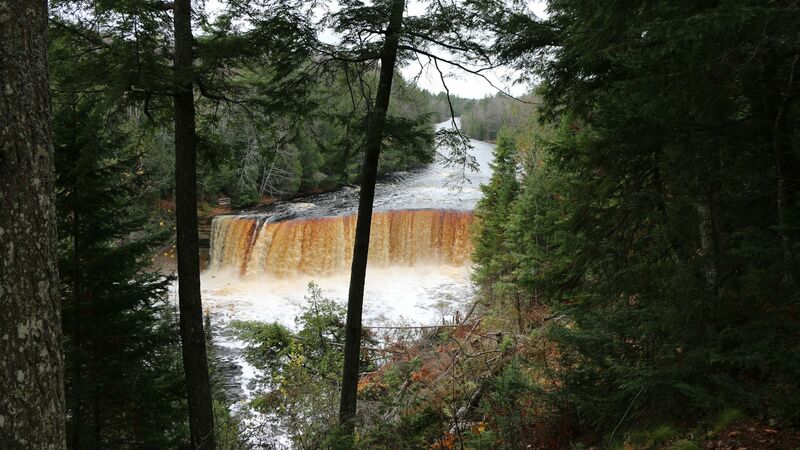 October 26th, 2014 - A view of the upper falls from the gorge viewing platform at the upper Tahquamenon Falls in Paradise, Michigan. 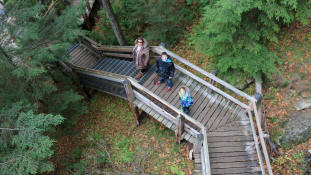 October 26th, 2014 - Tara, Drew, and Jayden walking down the stairs to the gorge viewing platform of the upper Tahquamenon Falls in Paradise, Michigan. 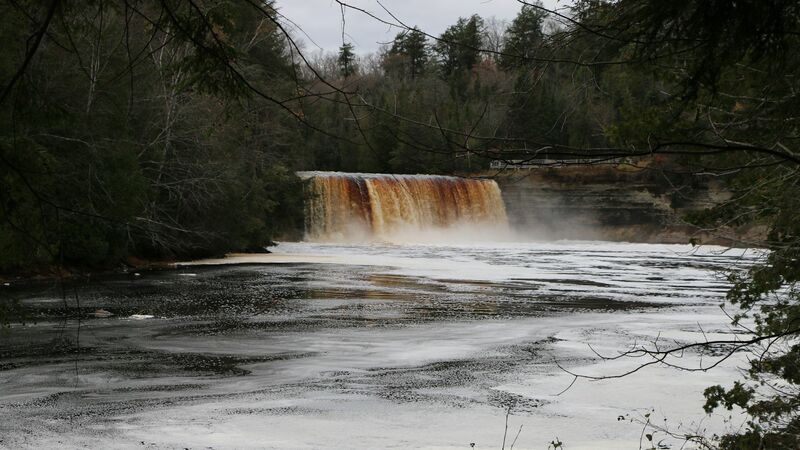 October 26th, 2014 - A view from beside the upper Tahquamenon Falls in Paradise, Michigan. October 26th, 2014 - A look at the upper Tahquamenon Falls in Paradise, Michigan. 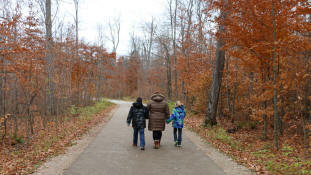 October 26th, 2014 - Drew, Tara, and Jayden walking along the trail to the upper Tahquamenon Falls in Paradise, Michigan. 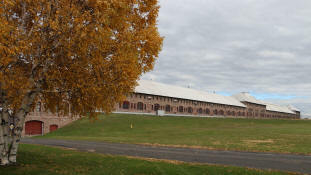 October 25th, 2014 - The Edison hydro-electric plant in Sault Ste. 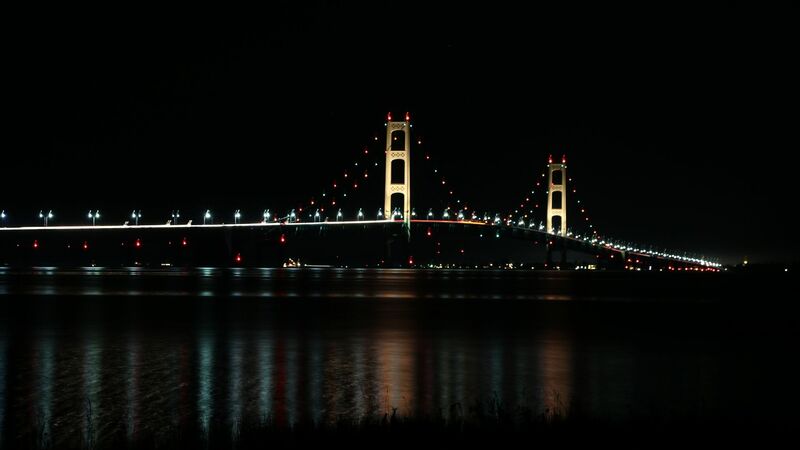 Marie, Michigan. 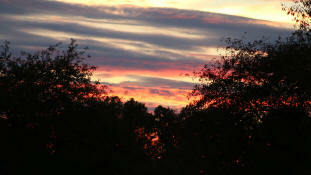 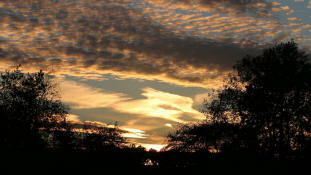 October 12th, 2014 - The sunset over Clintonwood Park in Clarkston, Michigan. 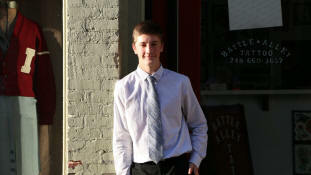 September 27th, 2014 - Tyler posing for a homecoming photo in Battle Alley in downtown Holly, Michigan. 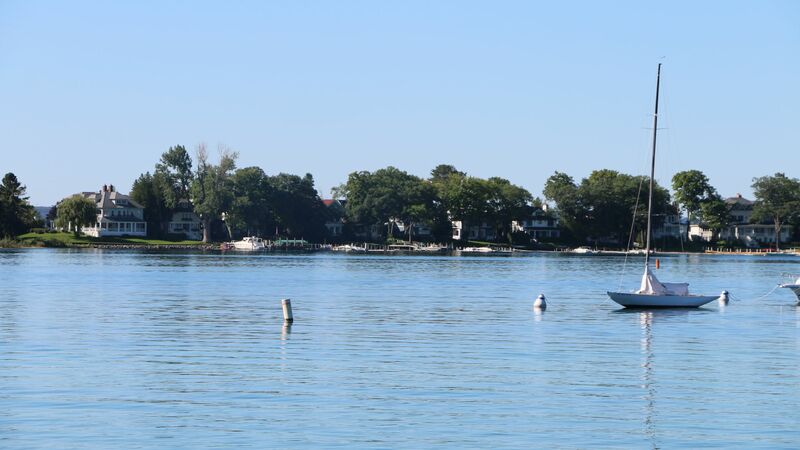 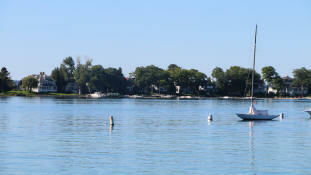 September 7th, 2014 - A view of the bay in Petoskey, Michigan. 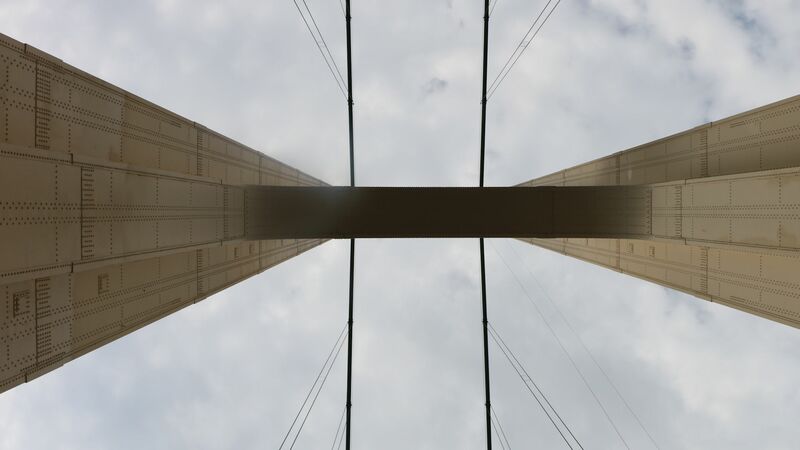 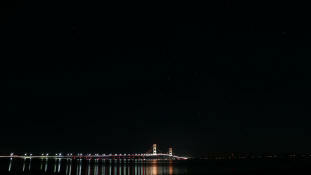 September 1st, 2014 - A look up at the Mackinac Bridge in St. Ignace, Michigan. 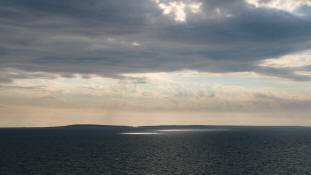 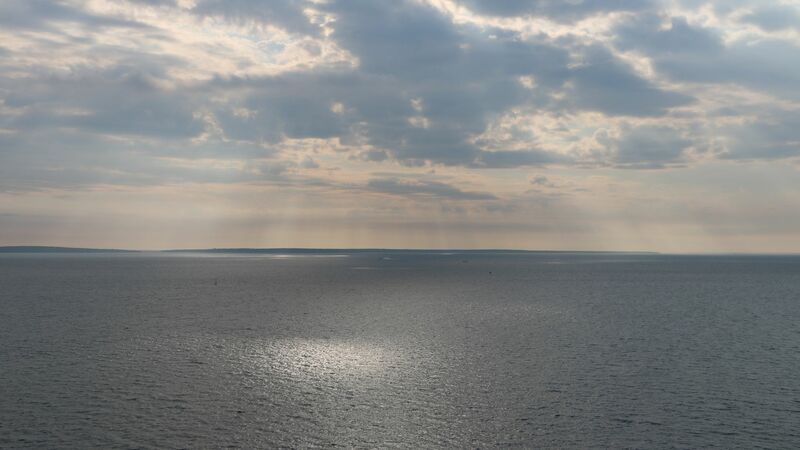 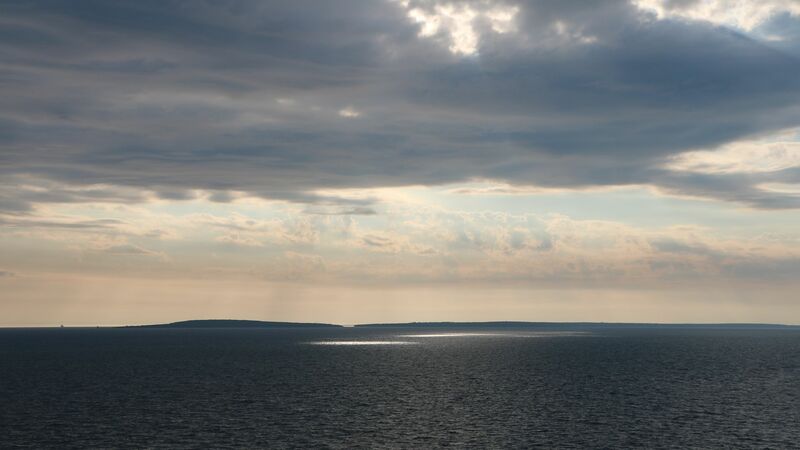 September 1st, 2014 - A look at Lake Huron from the Mackinac Bridge in St. Ignace, Michigan. 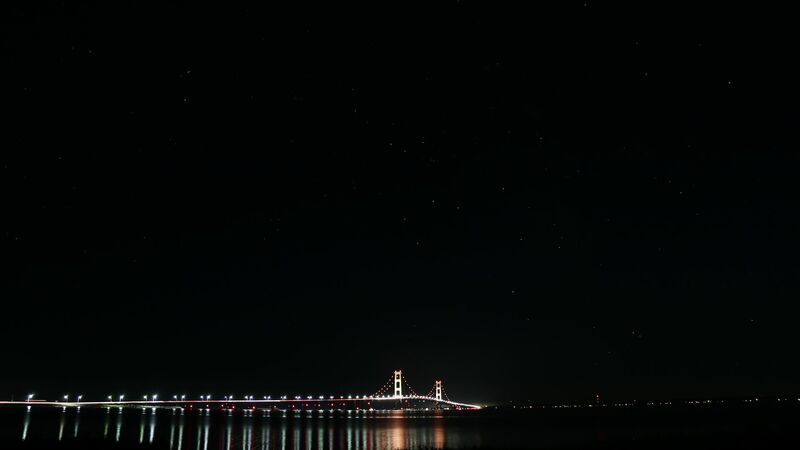 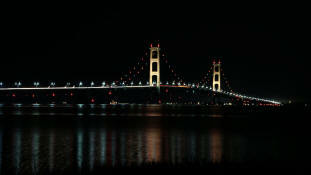 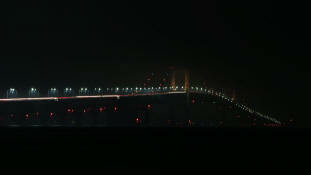 August 31st, 2014 - The Mackinac Bridge under the stars in St. Ignace, Michigan. 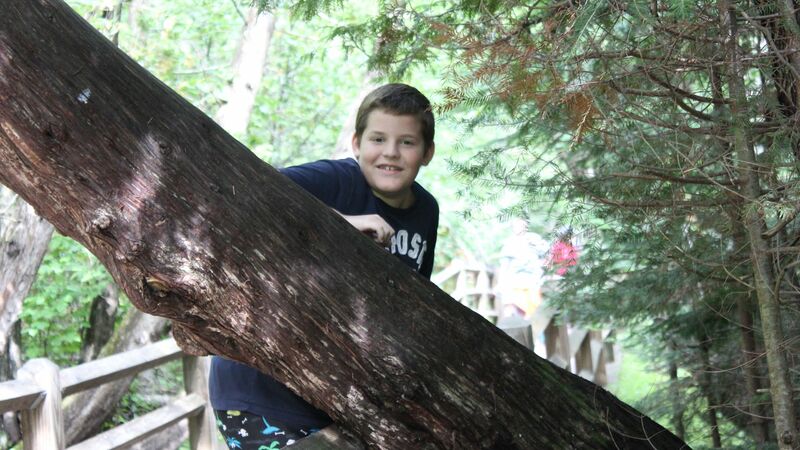 August 31st, 2014 - Tyler posing for a picture on a tree in the Tahquamenon Fall State Park in Paradise, Michigan. 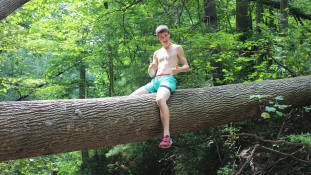 August 31st, 2014 - Drew posing for a picture on a tree in the Tahquamenon Fall State Park in Paradise, Michigan. 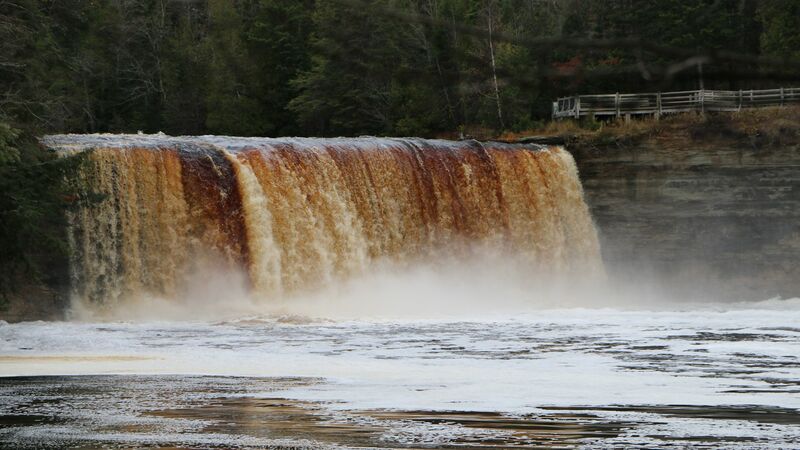 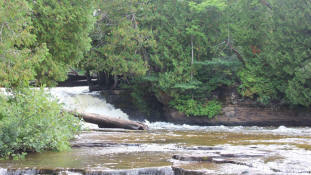 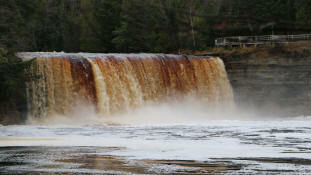 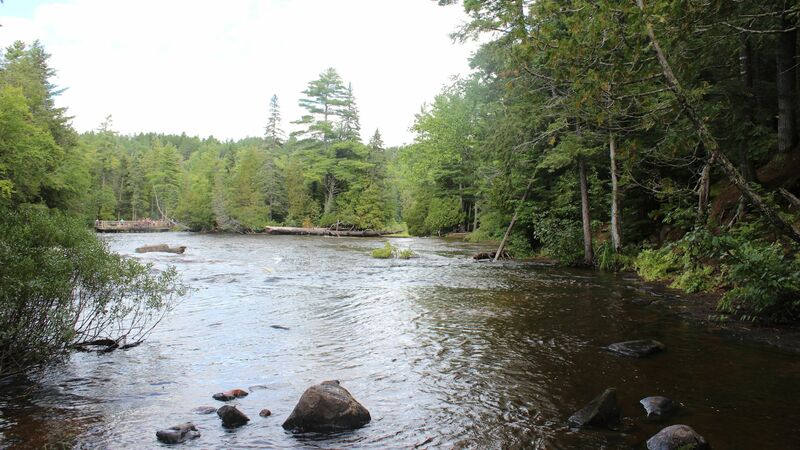 August 31st, 2014 - The lower falls of the Tahquamenon River in Paradise, Michigan. 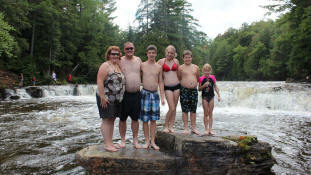 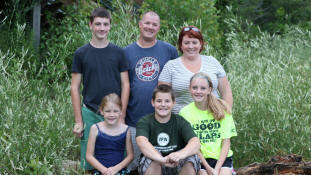 August 31st, 2014 - Tara, Rodney, Tyler, Samantha, Drew, and Jayden posing for a photo on a rock in the lower falls of the Tahquamenon River in Paradise, Michigan. 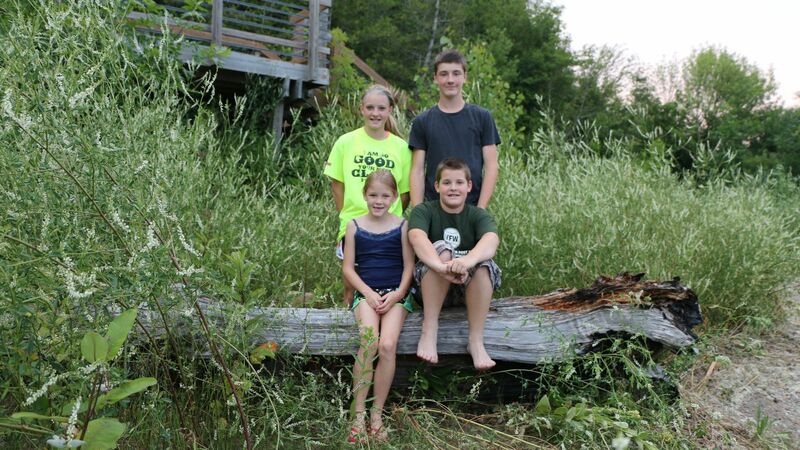 August 31st, 2014 - Tyler, Samantha, Drew, and Jayden posing for a photo on a downed tree in the lower falls of the Tahquamenon River in Paradise, Michigan. 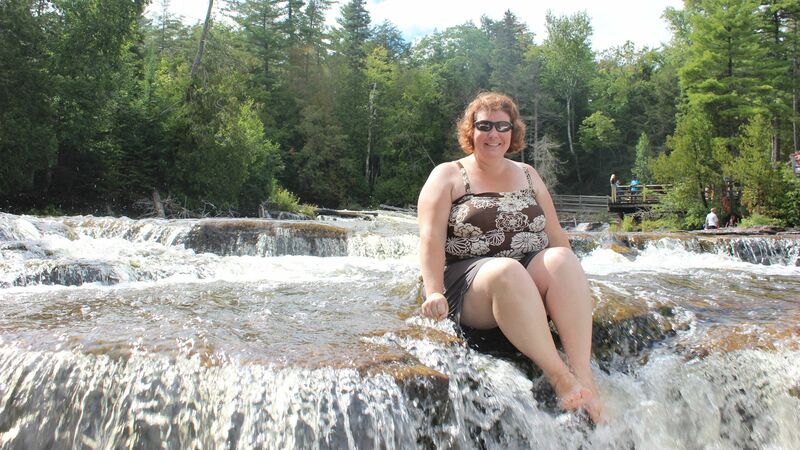 August 31st, 2014 - Tara posing for a photo in the lower falls of the Tahquamenon River in Paradise, Michigan. 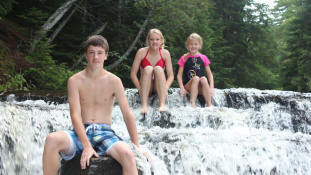 August 31st, 2014 - Tyler, Samantha, and Jayden posing for a photo in the lower falls of the Tahquamenon River in Paradise, Michigan. 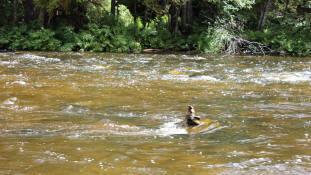 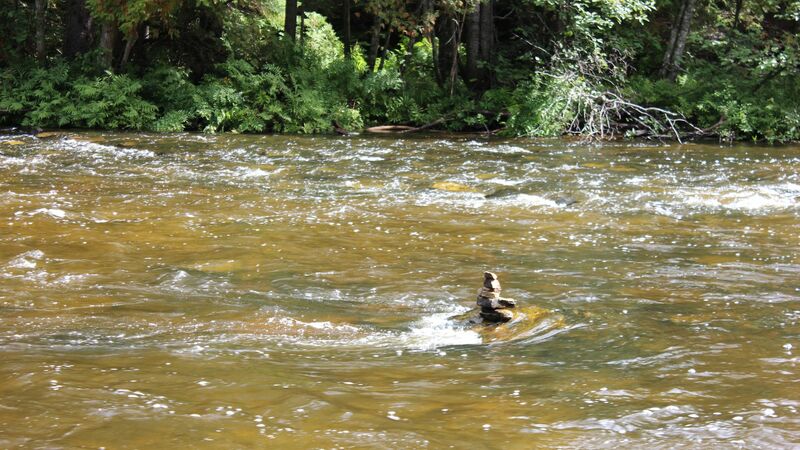 August 31st, 2014 - A cairn in the middle of the Tahquamenon River in Paradise, Michigan. 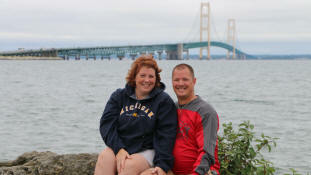 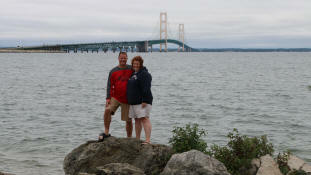 August 31st, 2014 - A picture of Rodney & Tara in front of the Mackinac Bridge at the Mackinac Bridge View Park in St. Ignace, Michigan. August 31st, 2014 - A picture of Tyler, Jayden, Drew, and Samantha in front of the Mackinac Bridge at the Mackinac Bridge View Park in St. Ignace, Michigan. 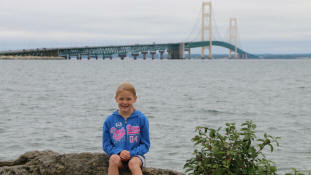 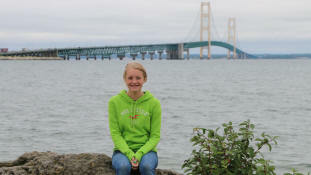 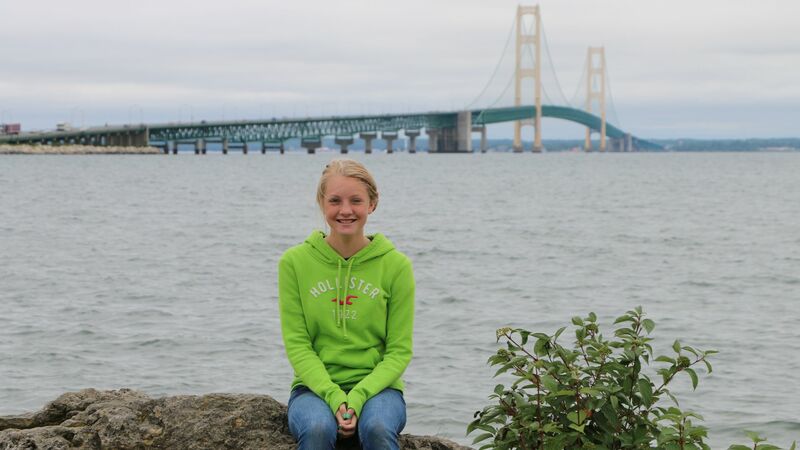 August 31st, 2014 - A picture of Samantha in front of the Mackinac Bridge at the Mackinac Bridge View Park in St. Ignace, Michigan. 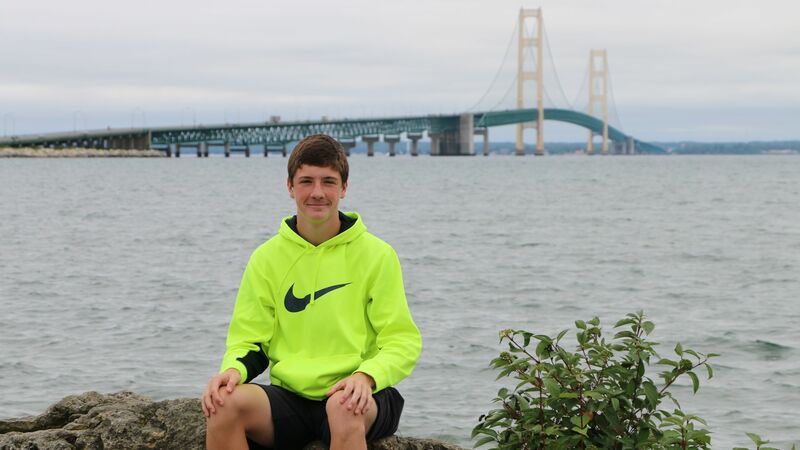 August 31st, 2014 - A picture of Tyler in front of the Mackinac Bridge at the Mackinac Bridge View Park in St. Ignace, Michigan. 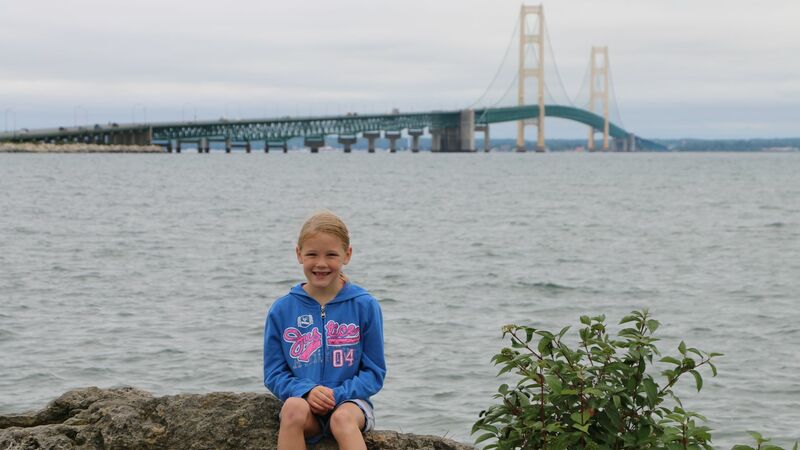 August 31st, 2014 - A picture of Jayden in front of the Mackinac Bridge at the Mackinac Bridge View Park in St. Ignace, Michigan. 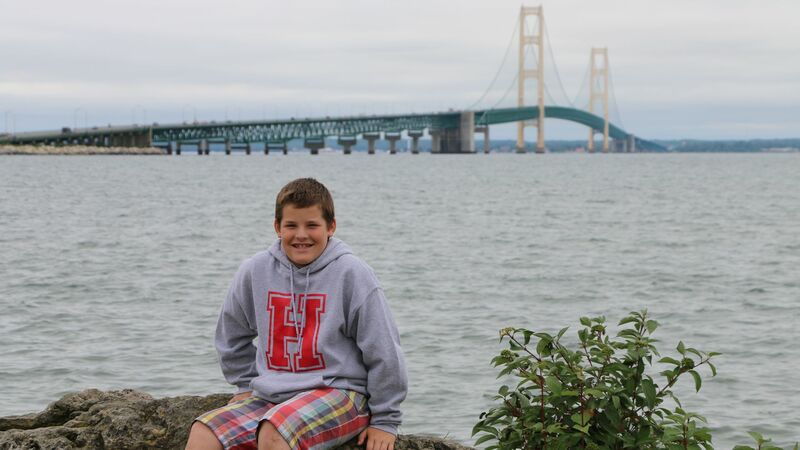 August 31st, 2014 - A picture of Drew in front of the Mackinac Bridge at the Mackinac Bridge View Park in St. Ignace, Michigan. August 31st, 2014 - Rodney & Tara posing for a picture in front of the Mackinac Bridge at the Mackinac Bridge View Park in St. Ignace, Michigan. August 31st, 2014 - Samantha, Rodney, Jayden, Tara, Tyler, and Drew posing for a picture in front of the Mackinac Bridge at the Mackinac Bridge View Park in St. Ignace, Michigan. 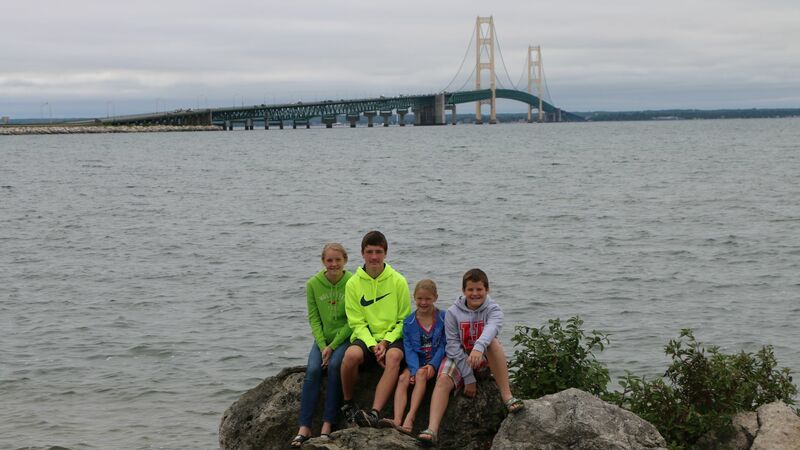 August 31st, 2014 - Samantha, Tyler, Jayden, and Drew posing for a picture in front of the Mackinac Bridge at the Mackinac Bridge View Park in St. Ignace, Michigan. 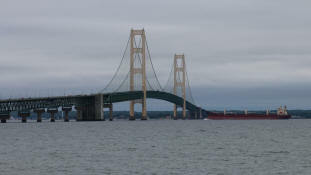 August 31st, 2014 - A freighter passing under the Mackinac Bridge as viewed from the Mackinac Bridge View Park in St. Ignace, Michigan. 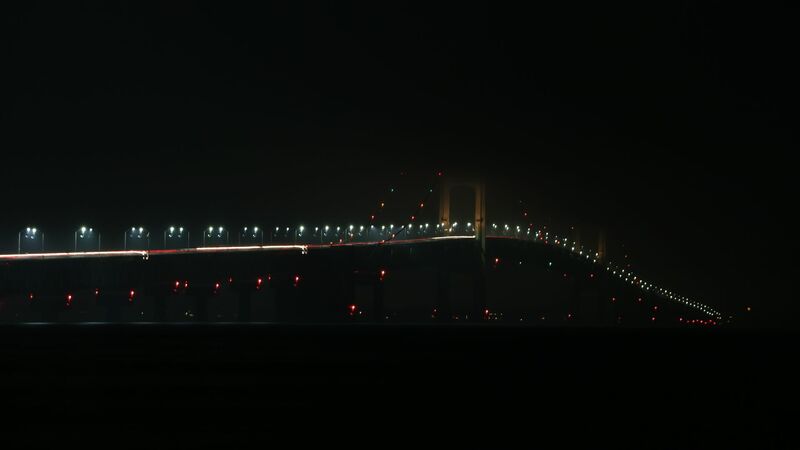 August 30th, 2014 - A fog-encased view of the Mackinac Bridge from the Mackinac Bridge View Park in St. Ignace, Michigan. 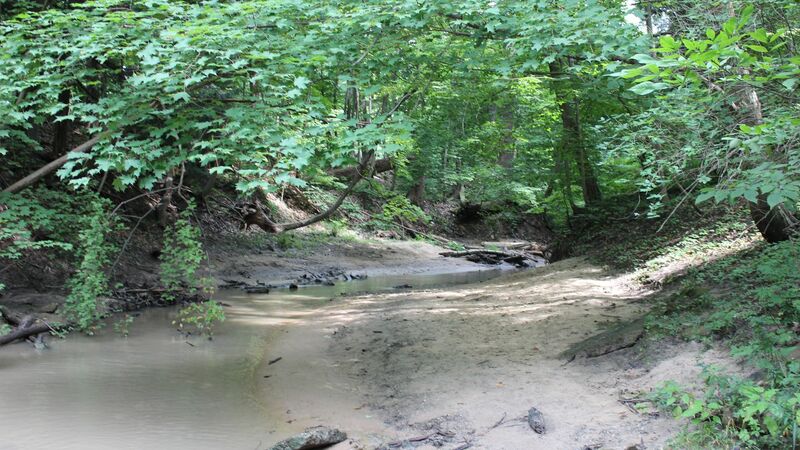 August 23rd, 2014 - A view from the creek walk at the Warren Dunes State Park. 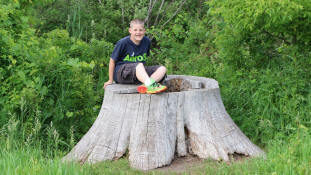 August 23rd, 2014 - Tyler sitting on a downed tree during the creek walk at the Warren Dunes State Park. 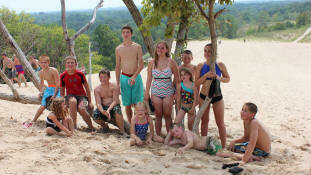 August 23rd, 2014 - Tevin, Dani, Noah, Drew, Tyler, Jayden, Elizabeth, Ben, Erin, Nick, and Taren posing for a photo on top of Tower Hill at the Warren Dunes State Park. 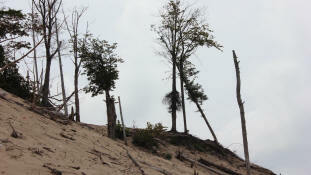 August 23rd, 2014 - The view from the top of Tower Hill at the Warren Dunes State Park. 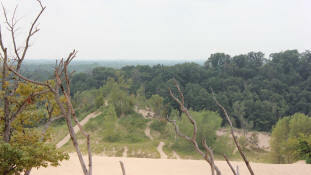 August 23rd, 2014 - A look across Tower Hill at the Warren Dunes State Park. 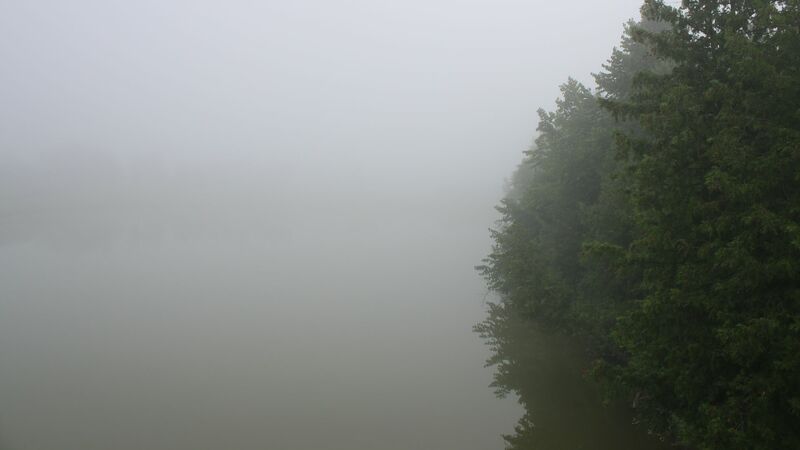 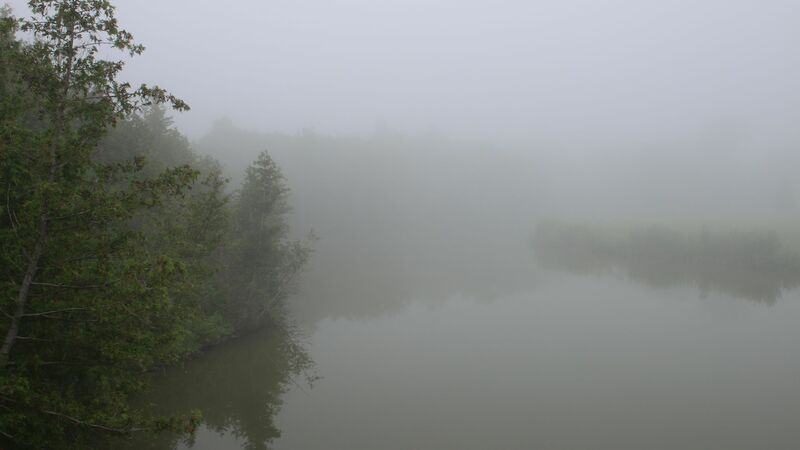 August 2nd, 2014 - A foggy view of the lake at Lake Huron Campground in Carsonville, Michigan. 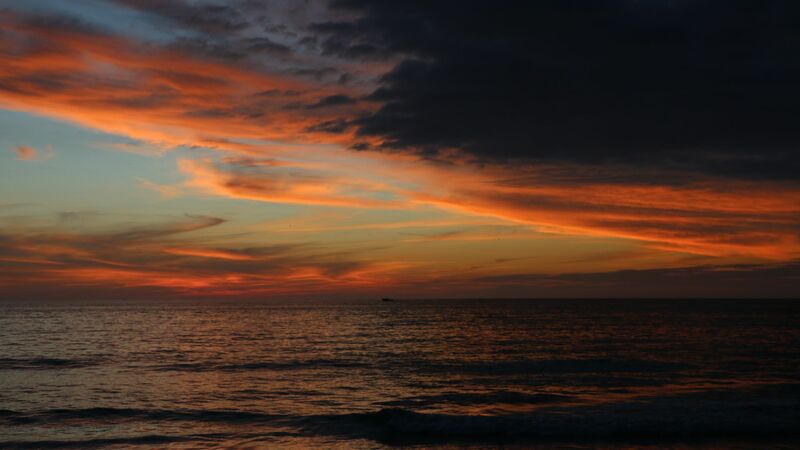 August 1st, 2014 - A colorful sunset as seen from the White Rock Motorist Park along Lake Huron. 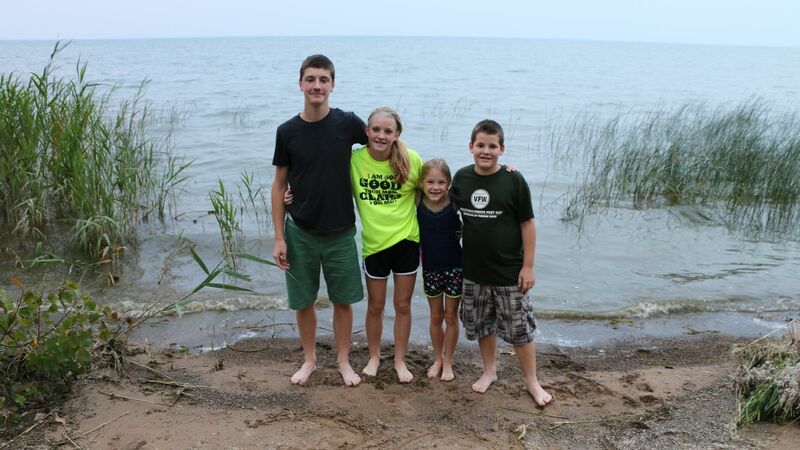 August 1st, 2014 - A picture of Tyler, Samantha, Jayden, and Drew at the White Rock Motorist Park along Lake Huron. 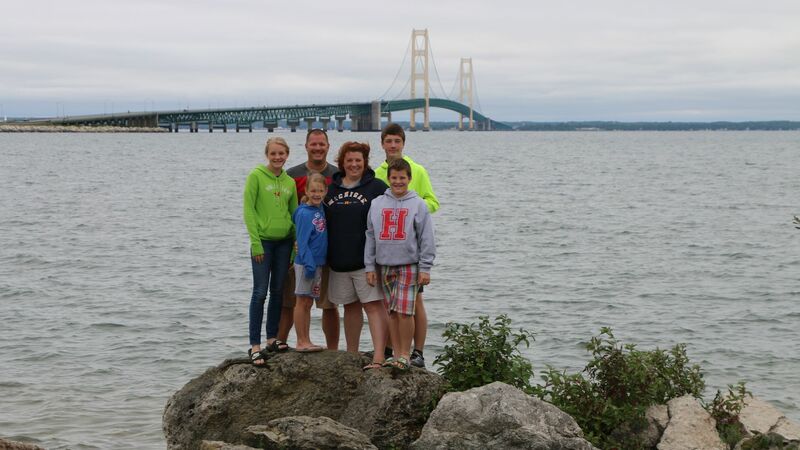 August 1st, 2014 - A picture of Tyler, Jayden, Rodney, Drew, Tara, and Samantha at the White Rock Motorist Park along Lake Huron. 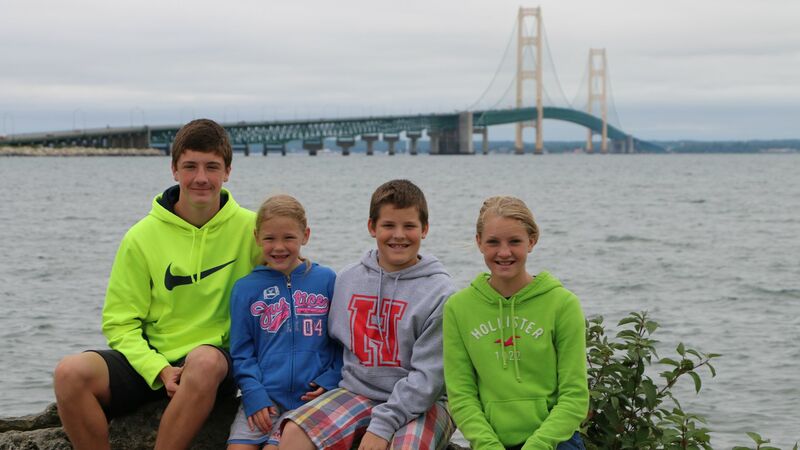 August 1st, 2014 - A picture of Samantha, Jayden, Tyler, and Drew at the White Rock Motorist Park along Lake Huron. 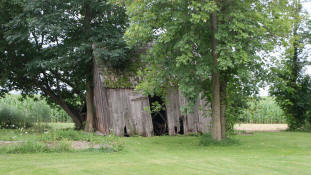 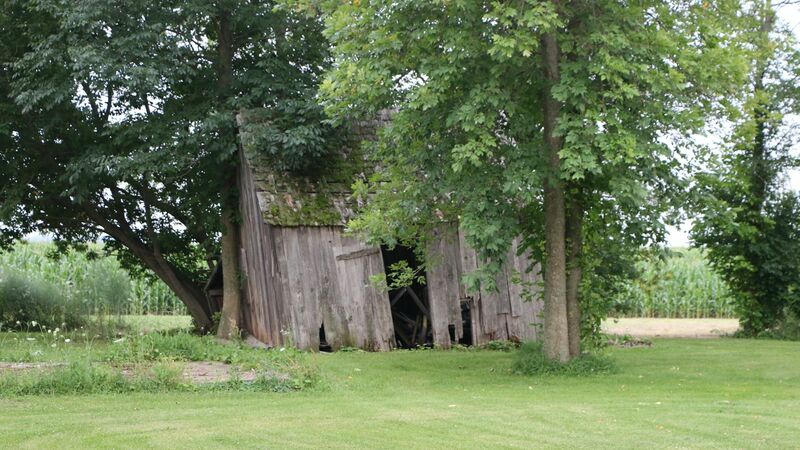 August 1st, 2014 - An old shed spotted near William's Inn in Harbor Beach, Michigan. 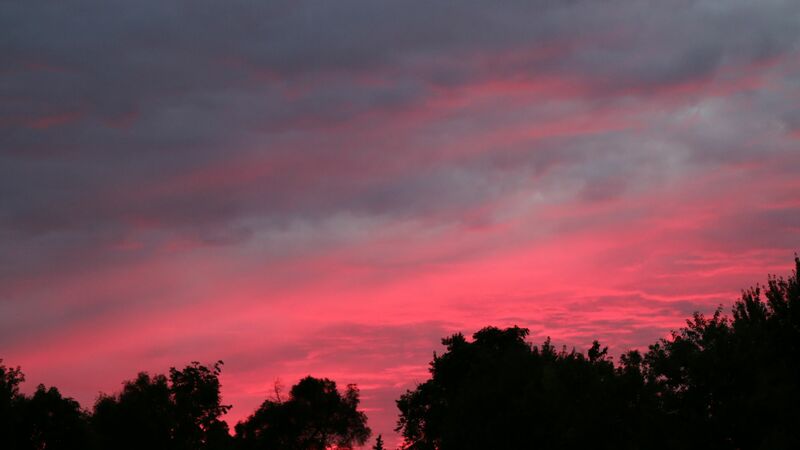 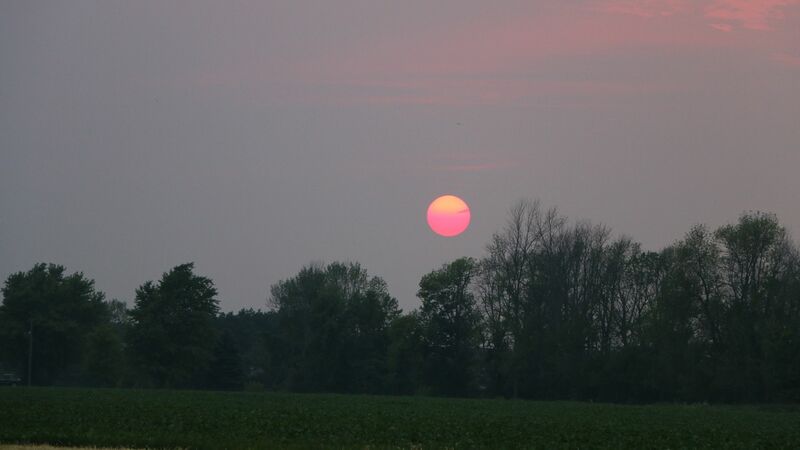 July 16th, 2014 - A colorful sunset as seen in Holly, Michigan. 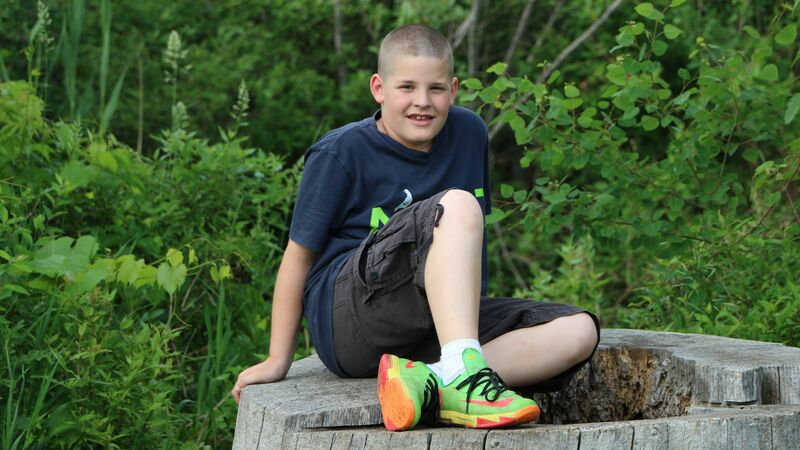 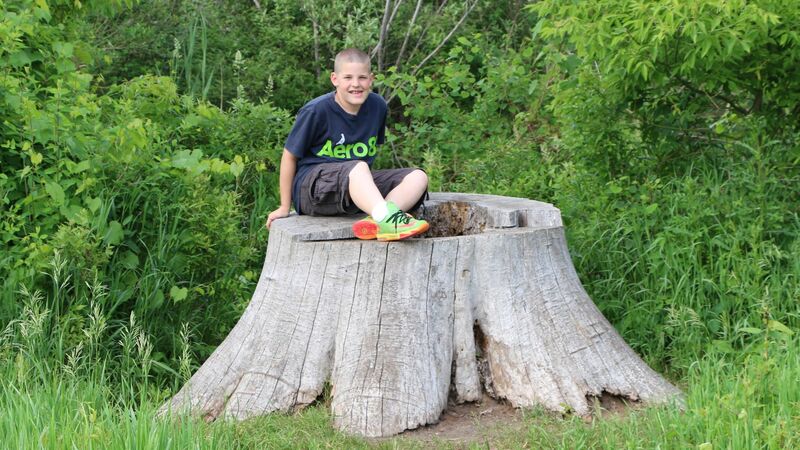 June 10th, 2014 - Drew sitting on a tree stump in Hartland, Michigan. 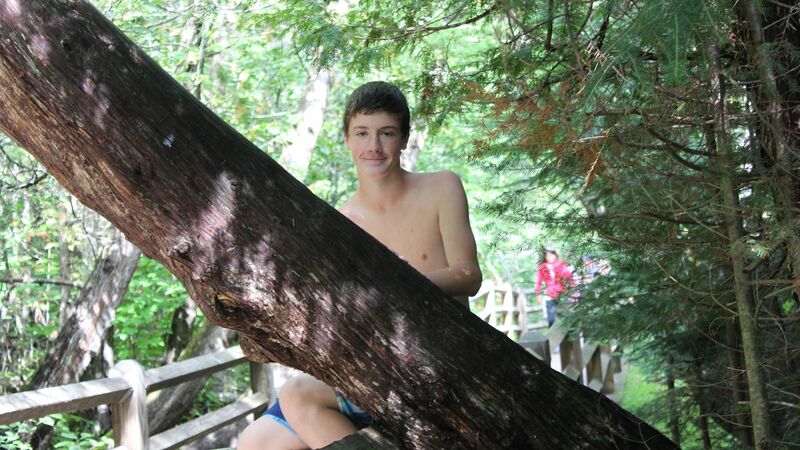 June 10th, 2014 - A closer look at Drew sitting on a tree stump in Hartland, Michigan. 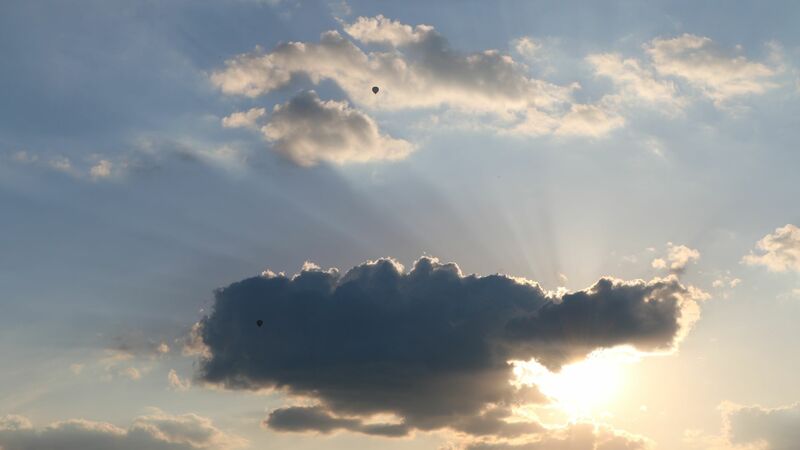 June 9th, 2014 - A look at two hot-air balloons drifting high in the clouds in Holly, Michigan. 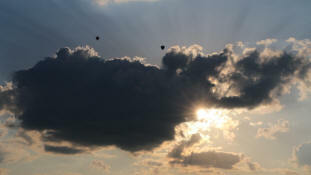 June 9th, 2014 - A closer look at two hot-air balloons drifting high in the clouds in Holly, Michigan. 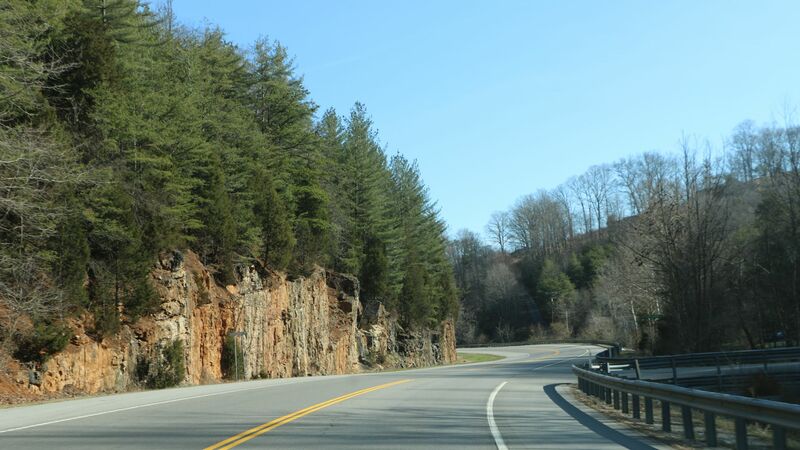 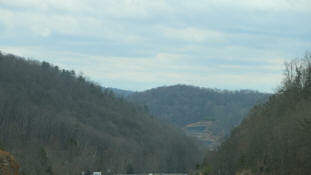 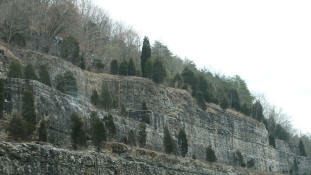 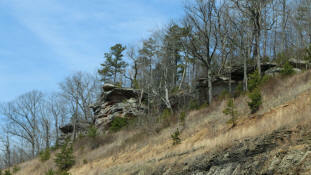 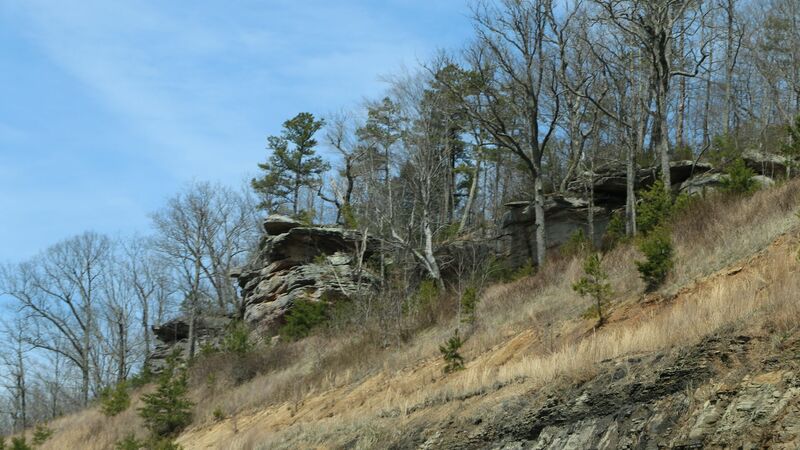 March 31st, 2014 - A view of the mountainside after passing through the Cumberland Gap Tunnel in Kentucky. March 31st, 2014 - A view of the mountainside while approaching the Cumberland Gap Tunnel in Kentucky. 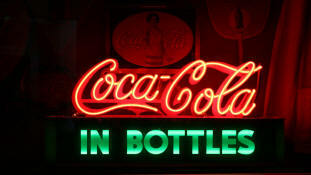 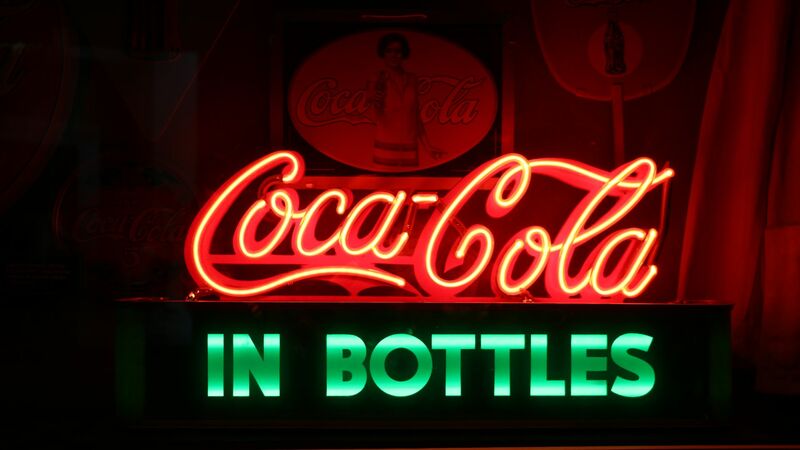 March 30th, 2014 - A neon sign on display at The World of Coca-Cola in Atlanta, Georgia. 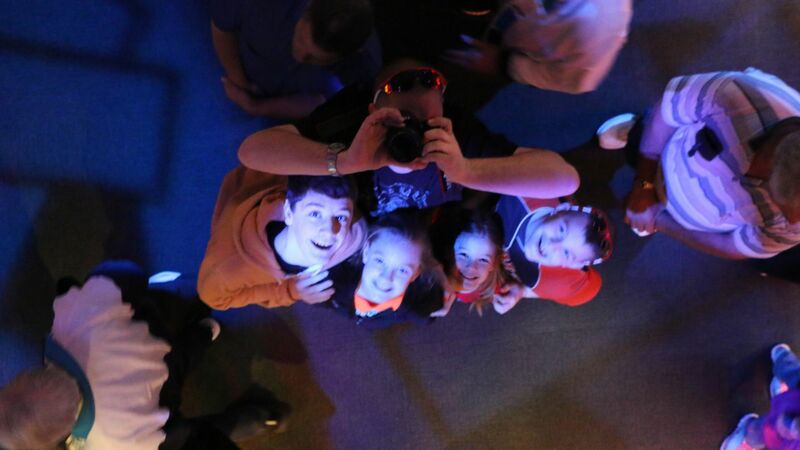 March 30th, 2014 - Rodney taking a picture of Tyler, Samantha, Jayden, and Drew in a ceiling mirror inside The World of Coca-Cola in Atlanta, Georgia. 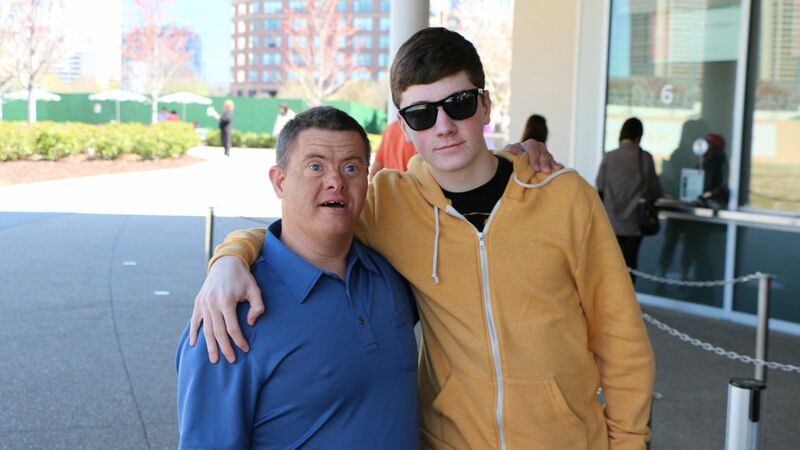 March 30th, 2014 - Steven and Tyler posing for a photo outside The World of Coca-Cola in Atlanta, Georgia. 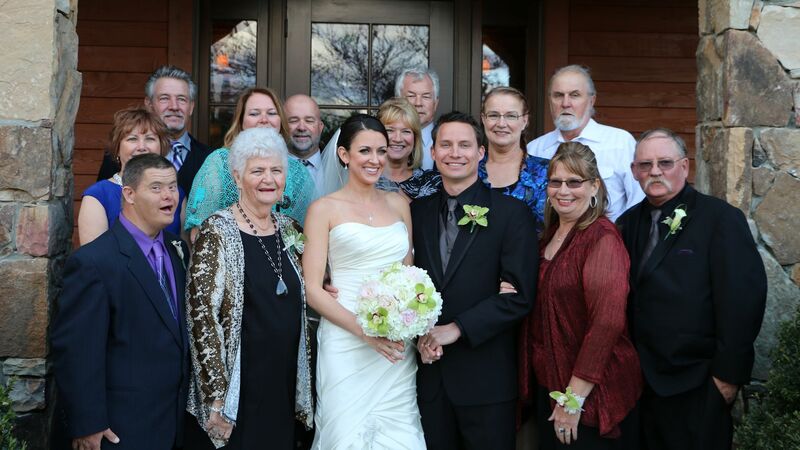 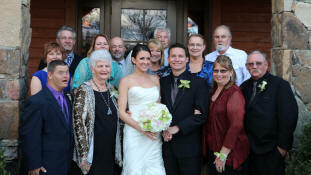 March 29th, 2014 - The Parrott family posing for a photo with Tim & Kristin on their wedding day at The River Club in Suwanee, Georgia. 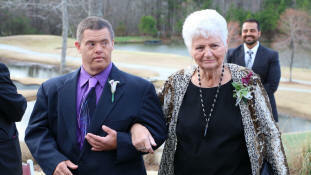 March 29th, 2014 - Steven and Grandma Parrott leaving Tim & Kristin's wedding ceremony at The River Club in Suwanee, Georgia. 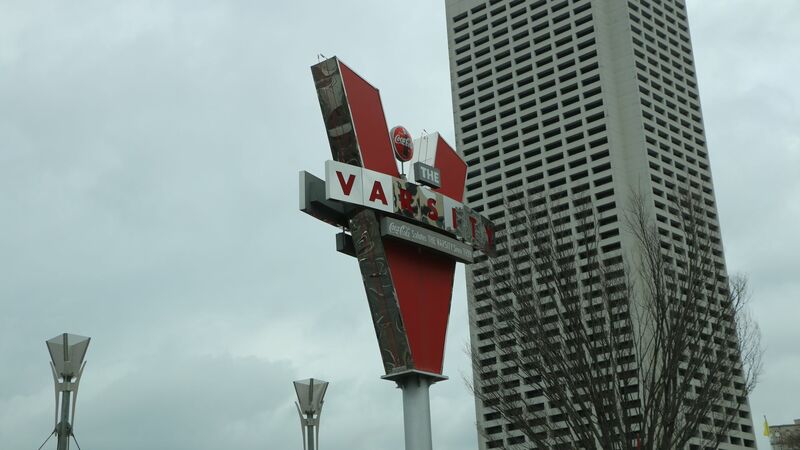 March 29th, 2014 - The Varsity Diner sign in Atlanta, Georgia. 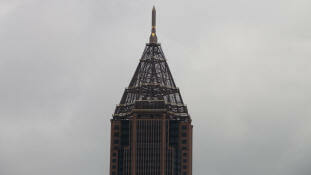 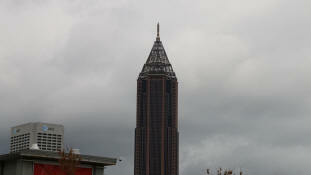 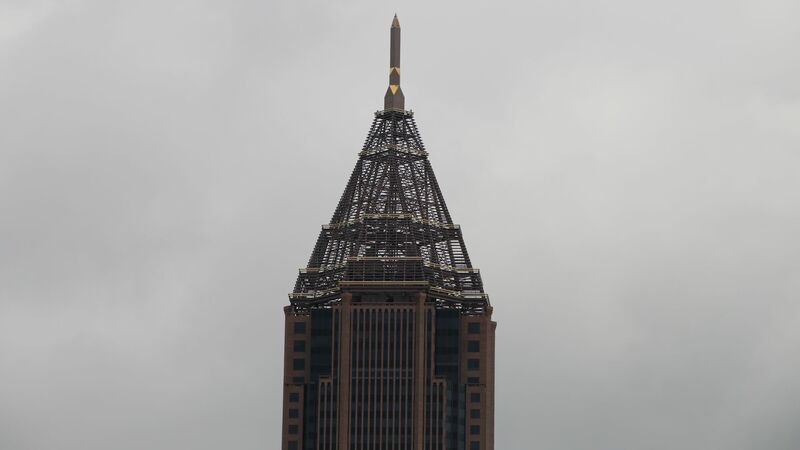 March 29th, 2014 - The top of a skyscraper seen in Atlanta, Georgia. 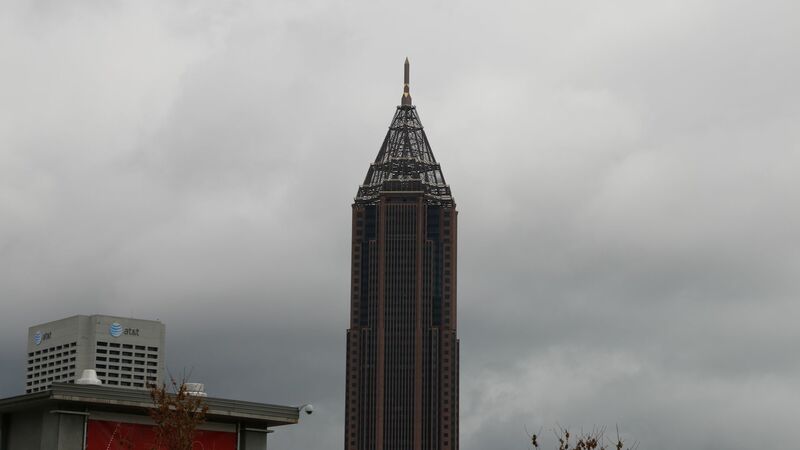 March 29th, 2014 - A cool skyscraper seen in Atlanta, Georgia. 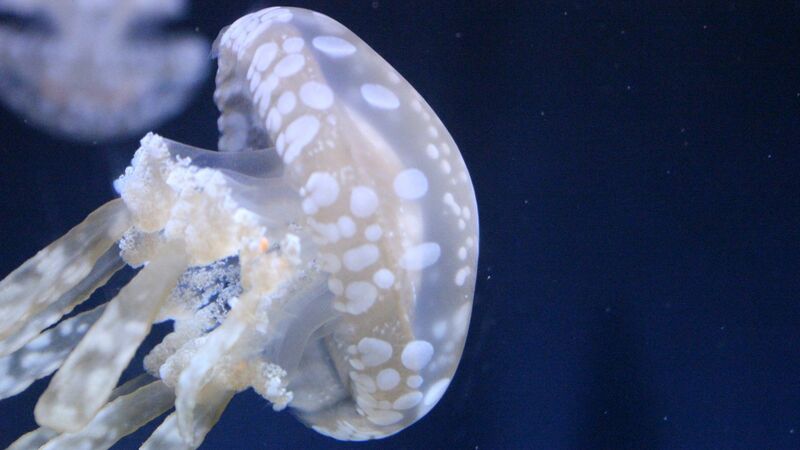 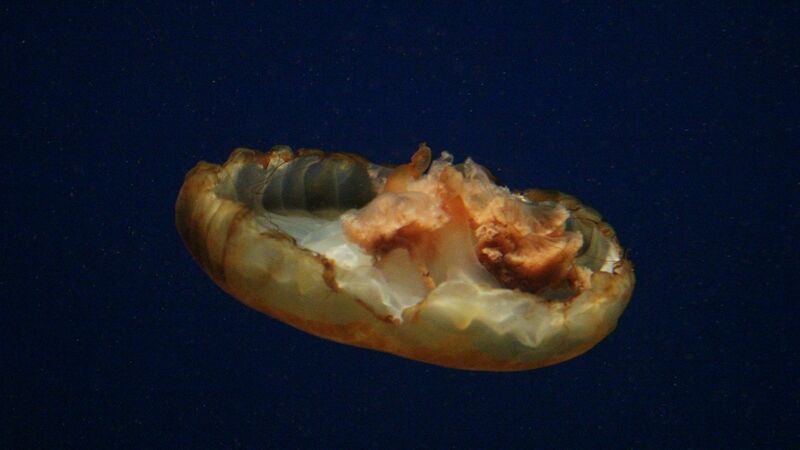 March 29th, 2014 - A photo of a jellyfish taken by Tyler at The Georgia Aquarium in Atlanta, Georgia. 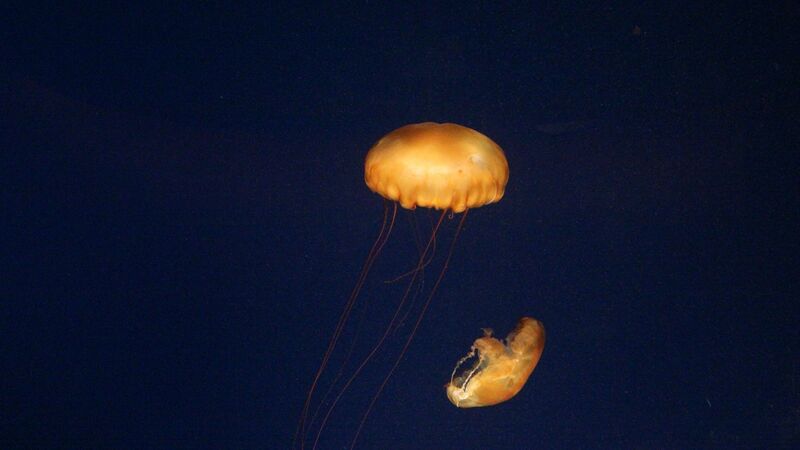 March 29th, 2014 - A photo of two jellyfish taken by Tyler at The Georgia Aquarium in Atlanta, Georgia. 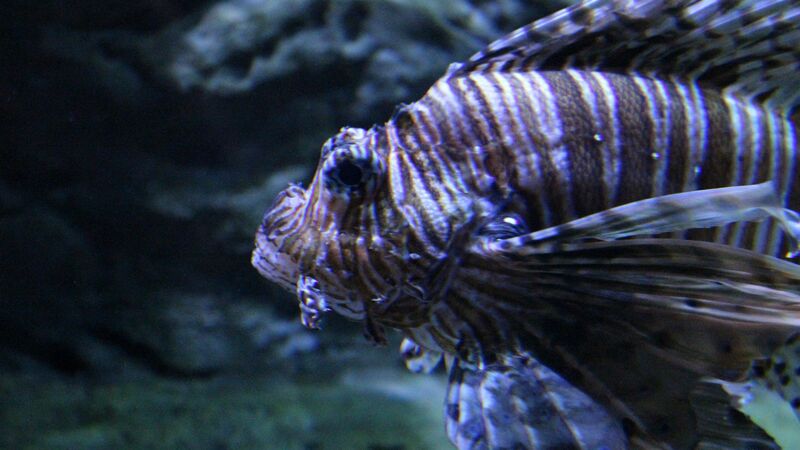 March 29th, 2014 - A photo of a lionfish taken by Tyler at The Georgia Aquarium in Atlanta, Georgia. 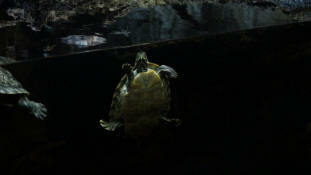 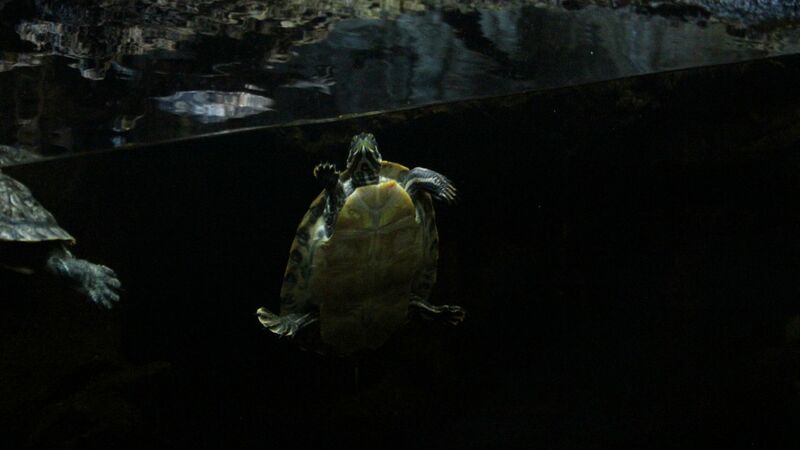 March 29th, 2014 - A photo of a turtle taken by Tyler at The Georgia Aquarium in Atlanta, Georgia. 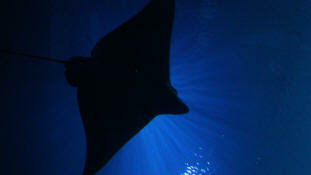 March 29th, 2014 - A photo of a ray swimming overhead taken by Tyler at The Georgia Aquarium in Atlanta, Georgia. 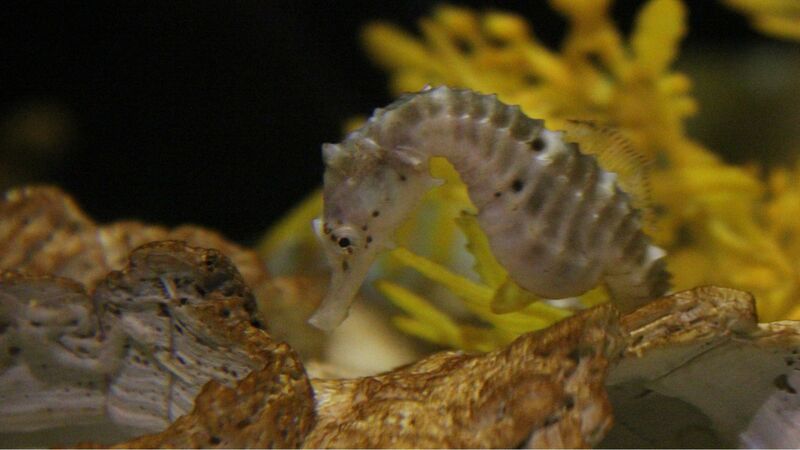 March 29th, 2014 - A photo of a seahorse taken by Tyler at The Georgia Aquarium in Atlanta, Georgia. 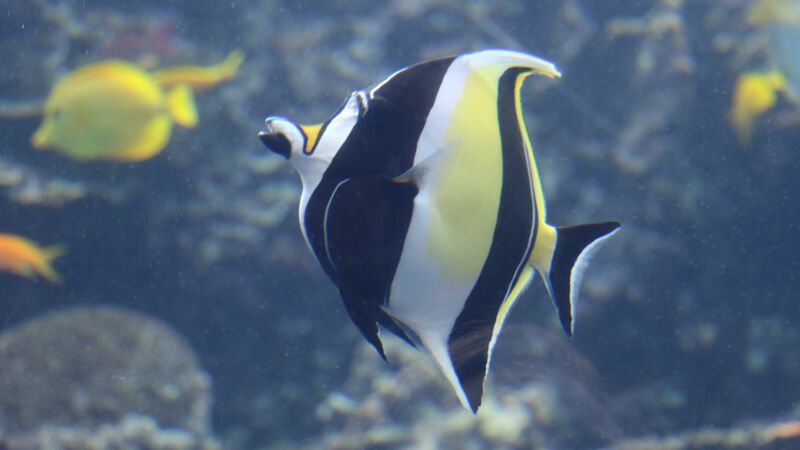 March 29th, 2014 - A moorish idol fish (aka Gill from "Finding Nemo") swimming at The Georgia Aquarium in Atlanta, Georgia. 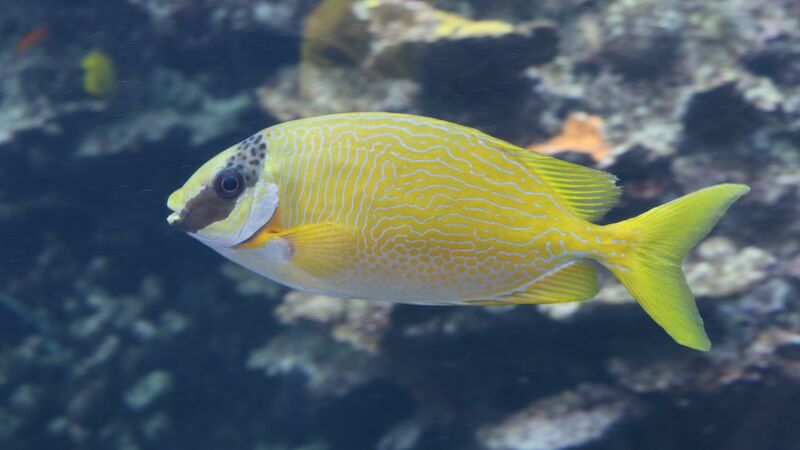 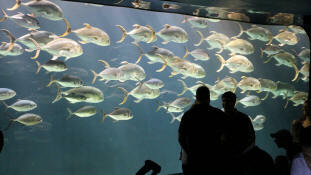 March 29th, 2014 - A fish swimming at The Georgia Aquarium in Atlanta, Georgia. 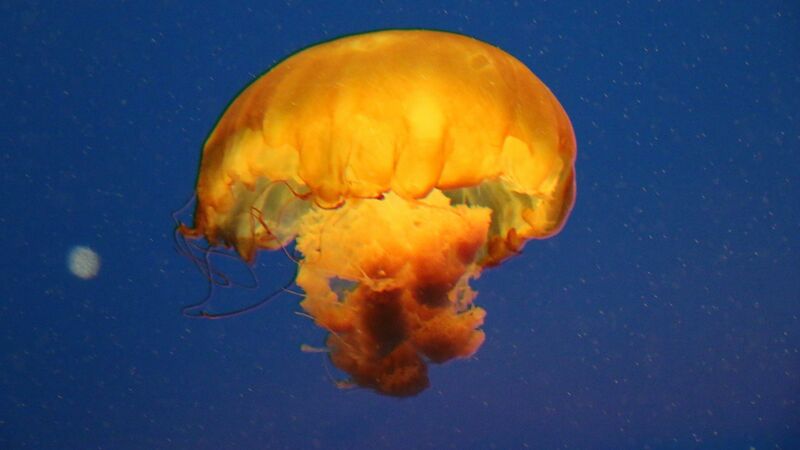 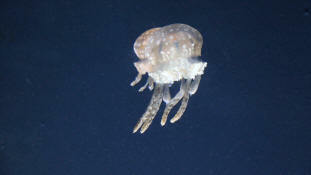 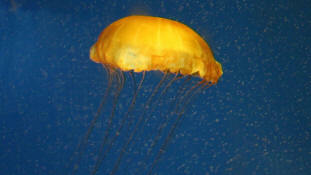 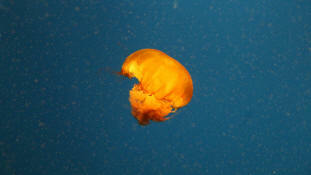 March 29th, 2014 - A photo of a jellyfish swimming at The Georgia Aquarium in Atlanta, Georgia. March 29th, 2014 - A group of jellyfish swimming at The Georgia Aquarium in Atlanta, Georgia. 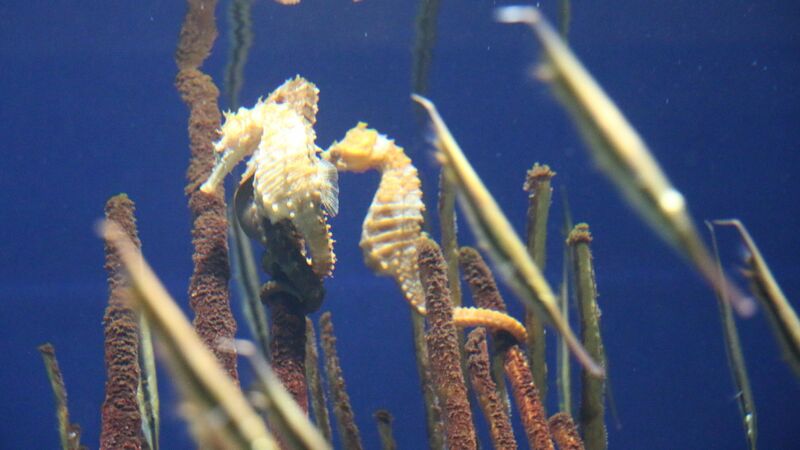 March 29th, 2014 - A couple of seahorses at The Georgia Aquarium in Atlanta, Georgia. 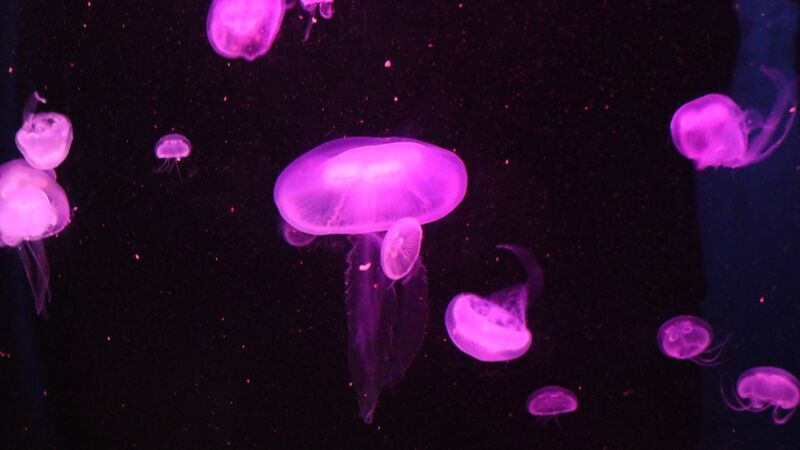 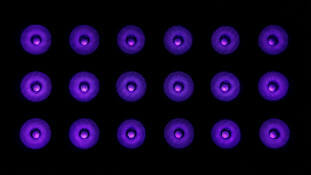 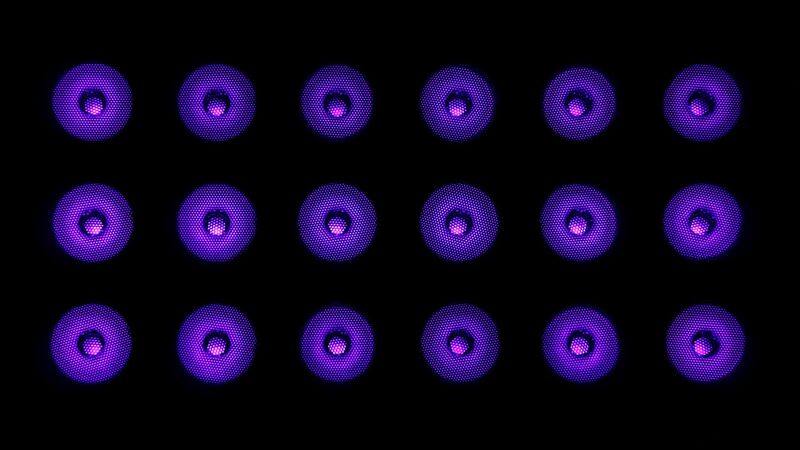 March 29th, 2014 - A look at some black lights spotted at The Georgia Aquarium in Atlanta, Georgia. 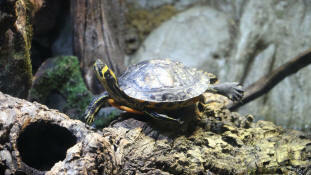 March 29th, 2014 - A turtle basking on a log at The Georgia Aquarium in Atlanta, Georgia. 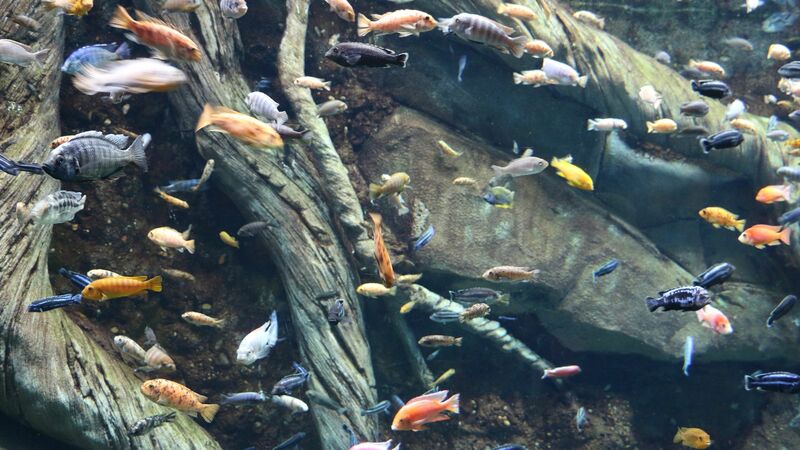 March 29th, 2014 - A variety of fish swimming at The Georgia Aquarium in Atlanta, Georgia. 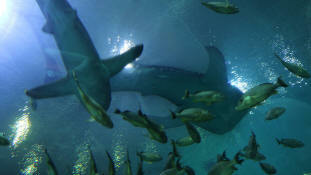 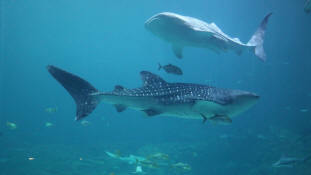 March 29th, 2014 - A couple of whale sharks swimming at The Georgia Aquarium in Atlanta, Georgia. 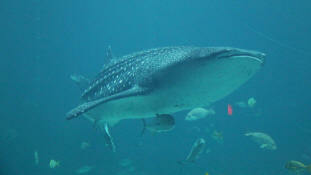 March 29th, 2014 - A whale shark swimming at The Georgia Aquarium in Atlanta, Georgia. 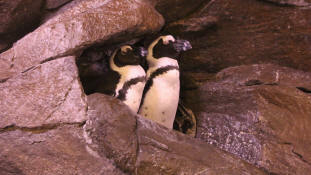 March 29th, 2014 - A couple of African penguins at The Georgia Aquarium in Atlanta, Georgia. 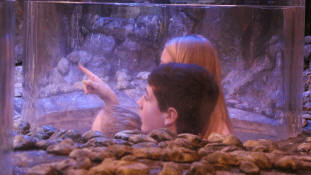 March 29th, 2014 - Jayden, Tyler, and Samantha peering through an observation port in the African penguin exhibit at The Georgia Aquarium in Atlanta, Georgia. 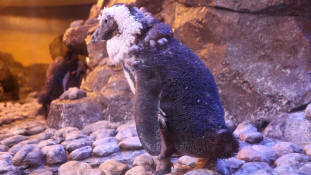 March 29th, 2014 - An African penguin at The Georgia Aquarium in Atlanta, Georgia. March 29th, 2014 - Jayden watching at octopus swim by her at The Georgia Aquarium in Atlanta, Georgia. 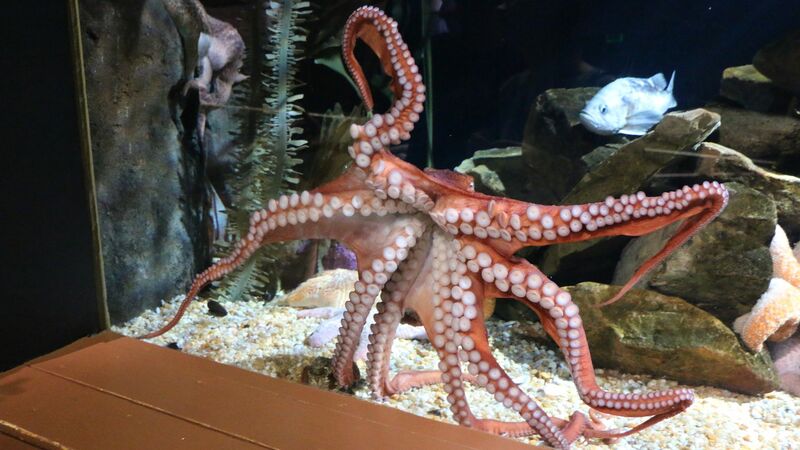 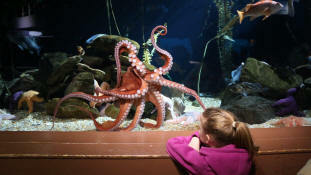 March 29th, 2014 - An octopus swimming at The Georgia Aquarium in Atlanta, Georgia. March 29th, 2014 - A school of fish swimming in a tank at the entrance of The Georgia Aquarium in Atlanta, Georgia. 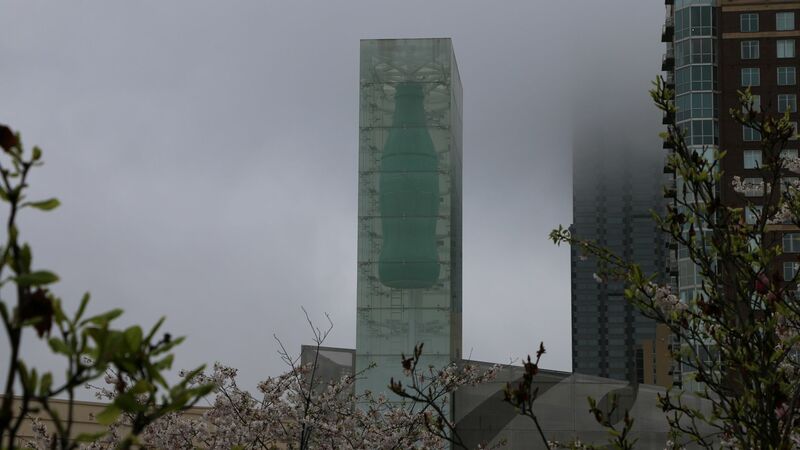 March 29th, 2014 - Part of The World of Coca-Cola building as seen from The Georgia Aquarium in Atlanta, Georgia. 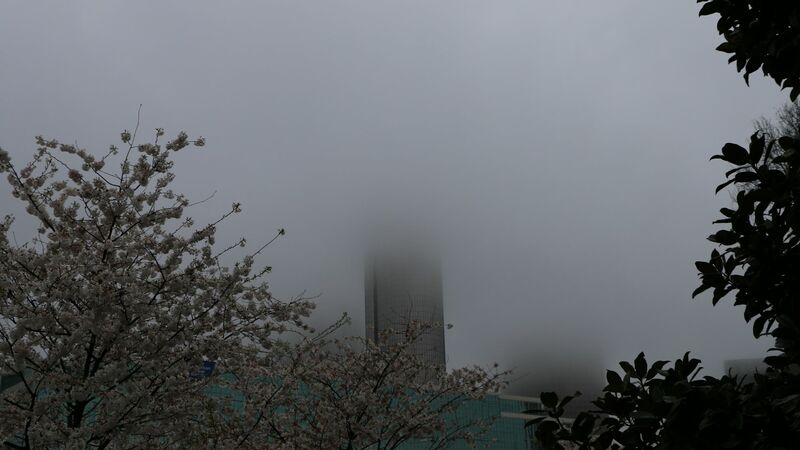 March 29th, 2014 - A skyscraper disappearing in the fog, seen from The Georgia Aquarium in Atlanta, Georgia. 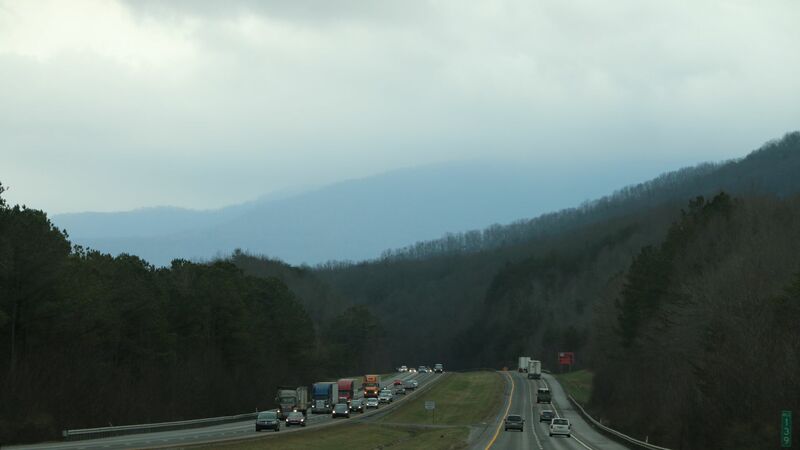 March 28th, 2014 - The mountains as seen during our drive to Georgia. 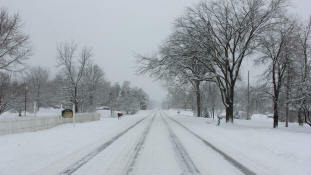 January 5th, 2014 - Looking south down the road in front of our house after the big snowfall in Holly, Michigan. 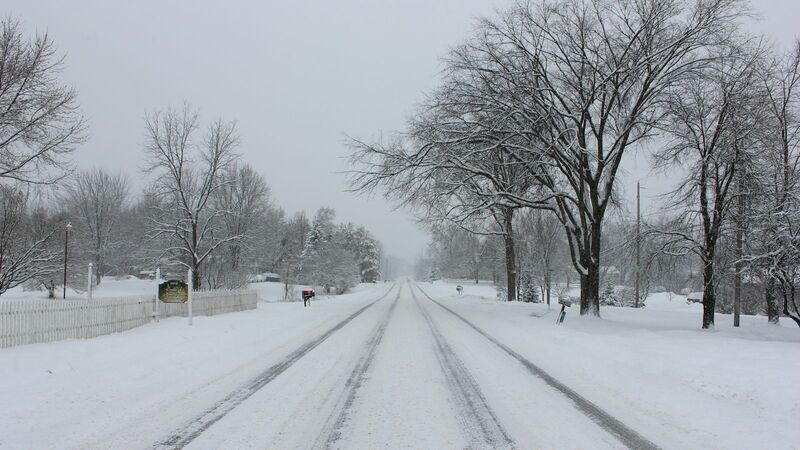 January 5th, 2014 - Looking east across the road from our house after the big snowfall in Holly, Michigan. 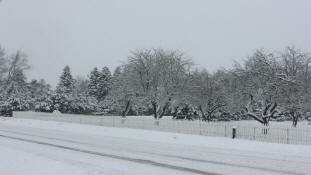 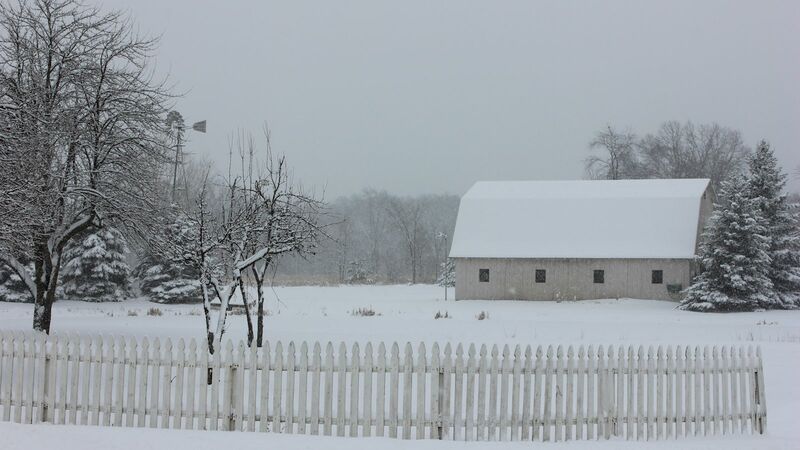 January 5th, 2014 - Looking northeast across the road from our house after the big snowfall in Holly, Michigan.